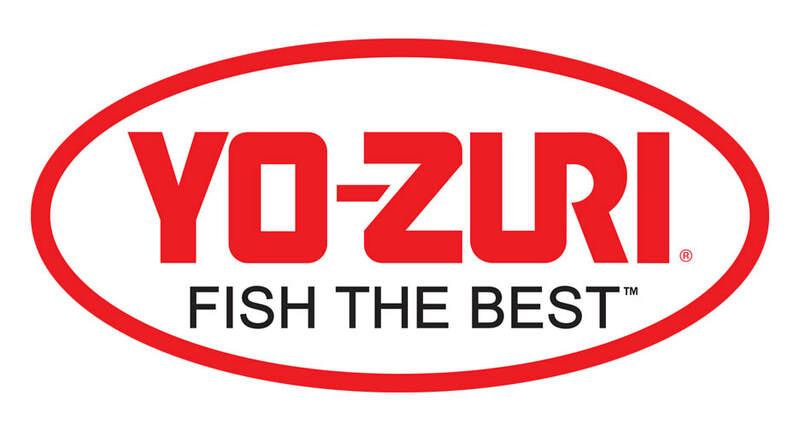 This is YO-ZURI's eighth year to support the ladies of LBAA. 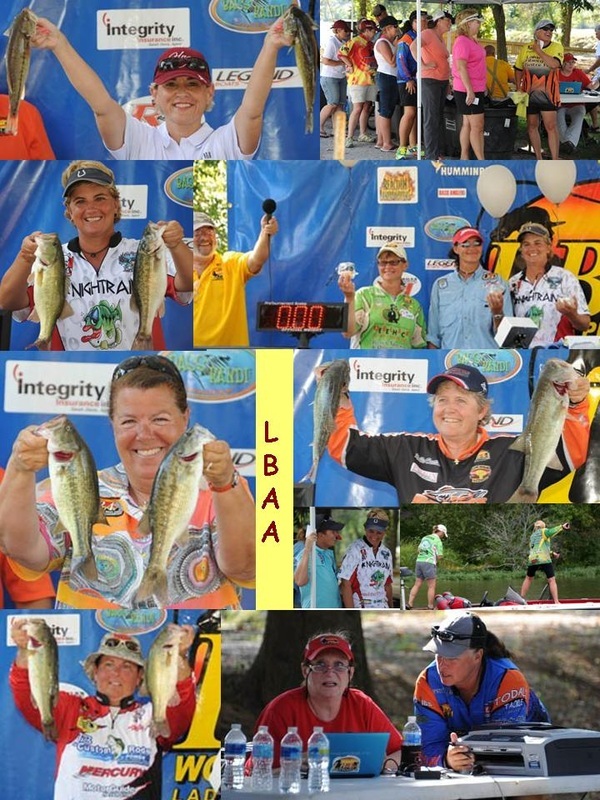 A sincere thank you from all of the ladies of LBAA! 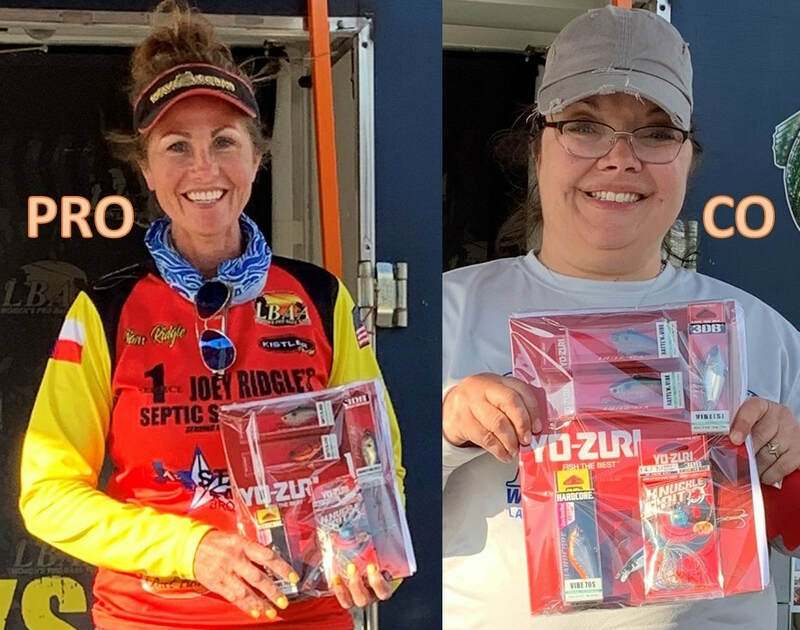 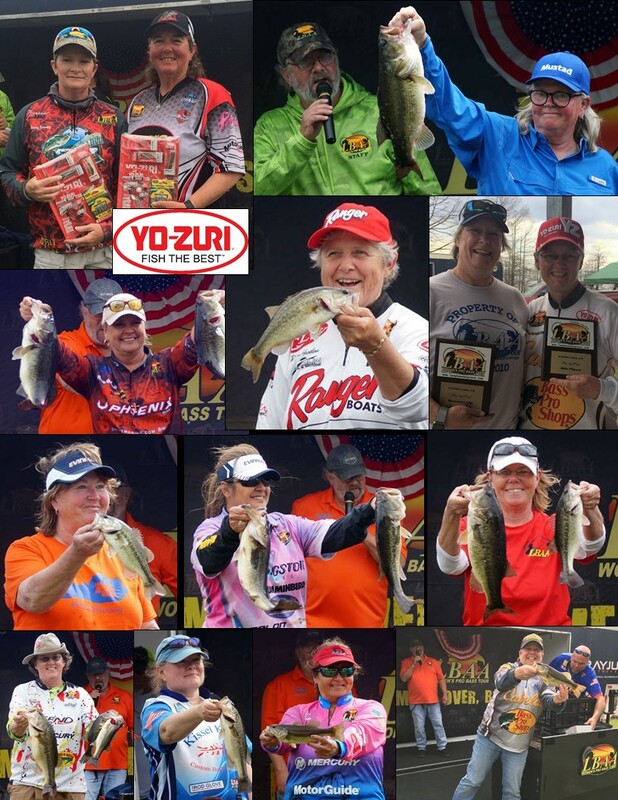 Lake Hickory - "First Out of the Money" YO-ZURI prize pack winners! 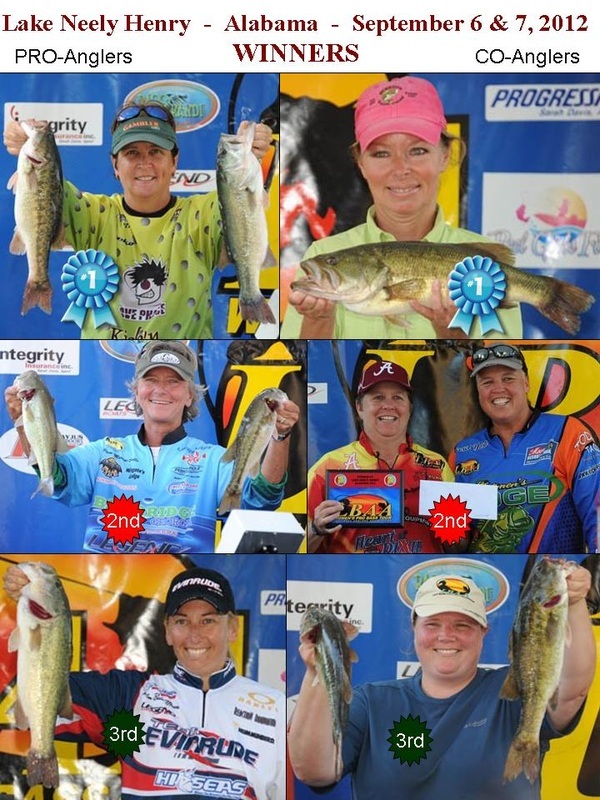 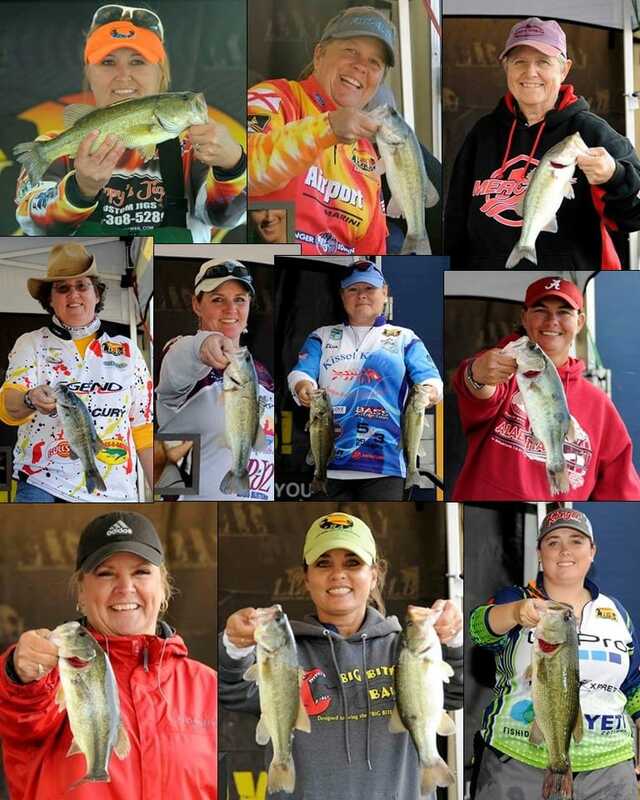 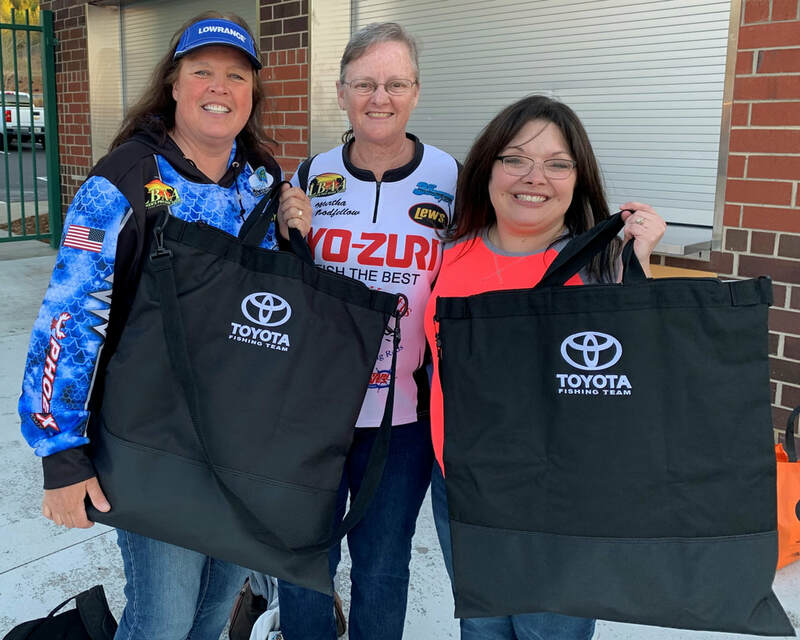 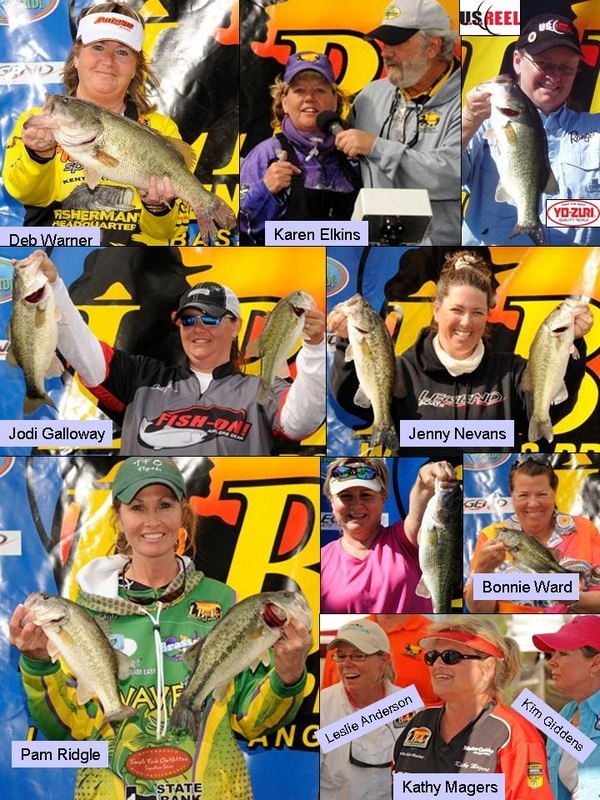 Toyota Bonus Bucks, contingency program offered to the ladies that fish the Lady Bass Anglers. 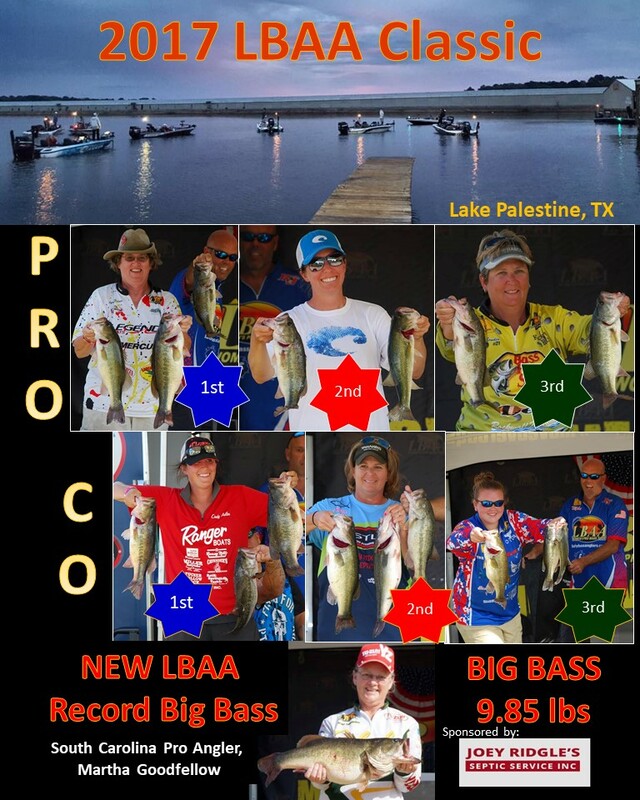 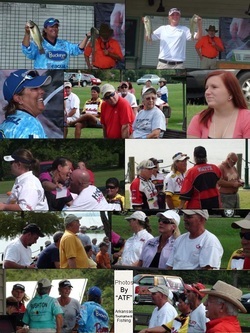 Great opportunity for Pro and Co-Anglers. 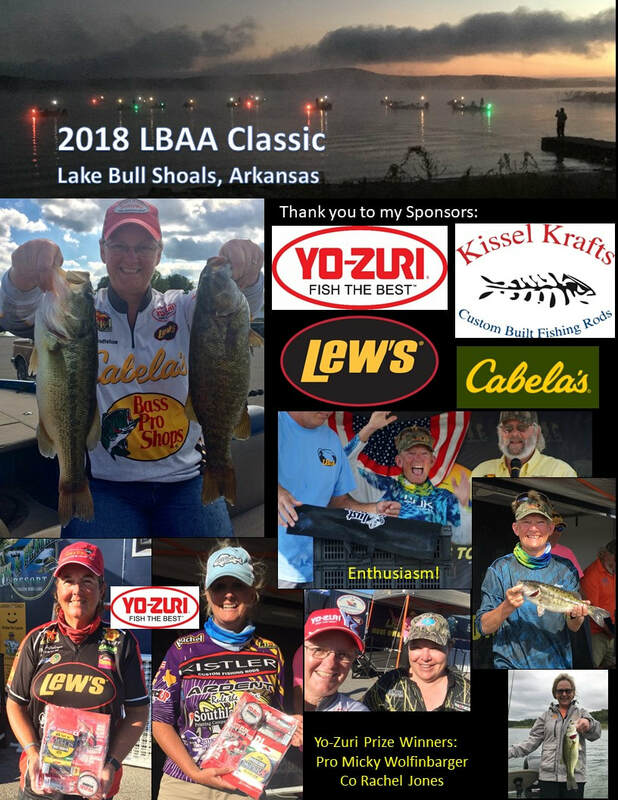 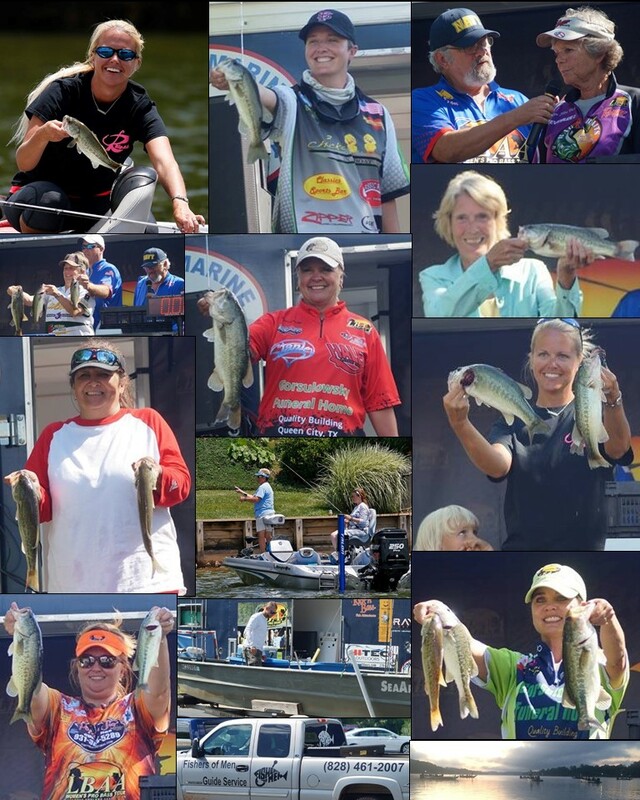 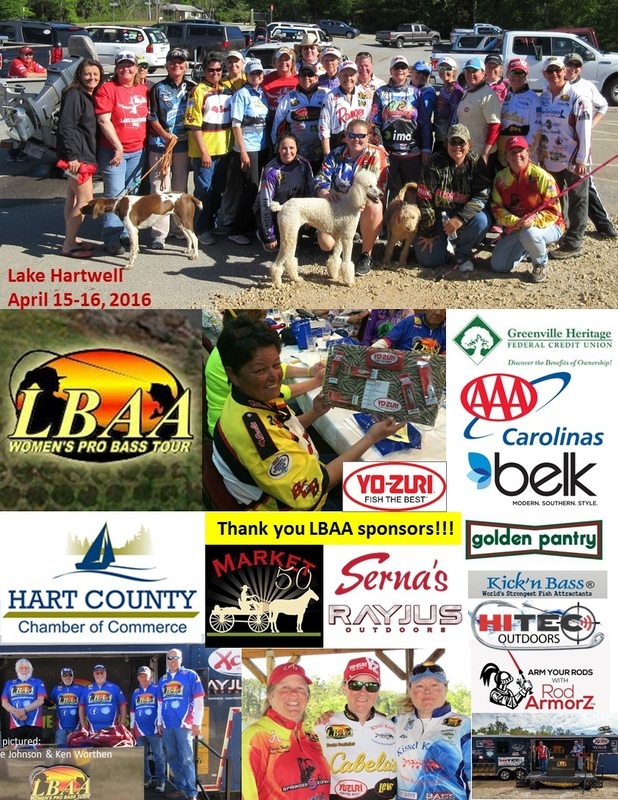 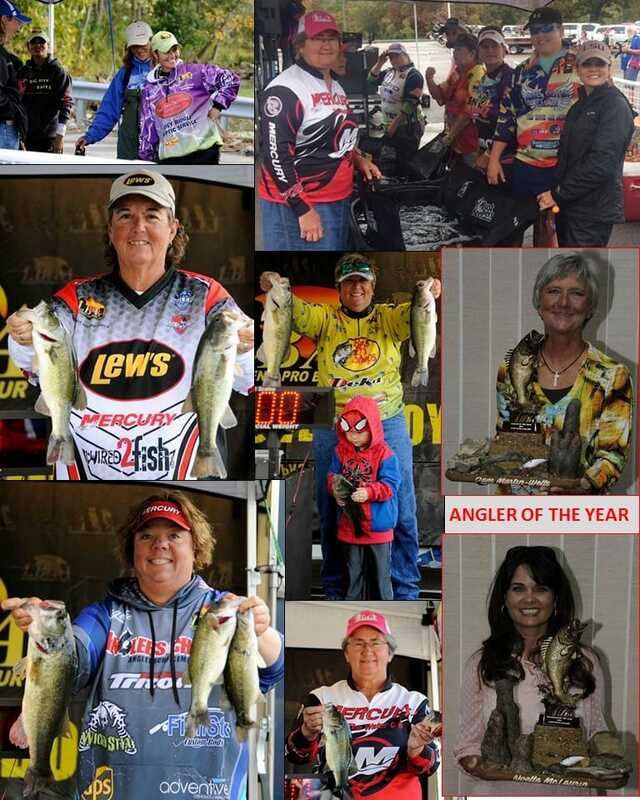 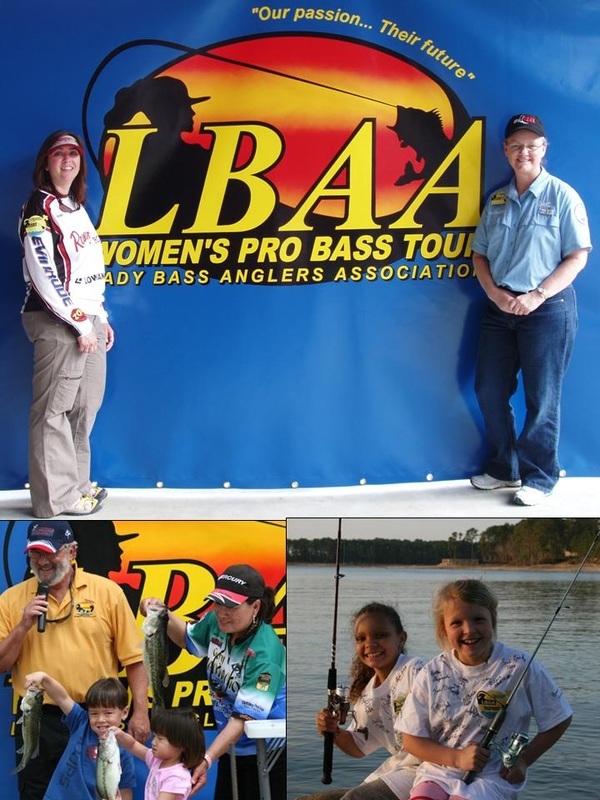 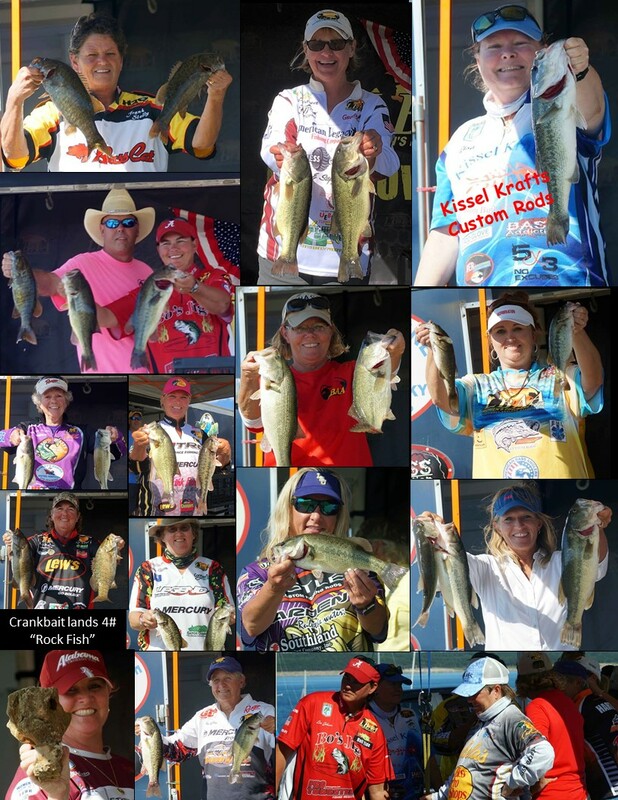 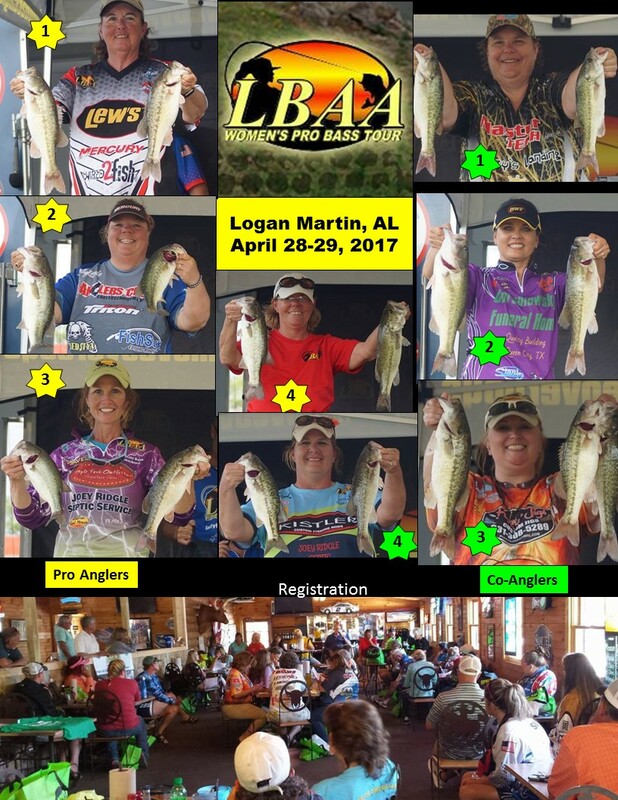 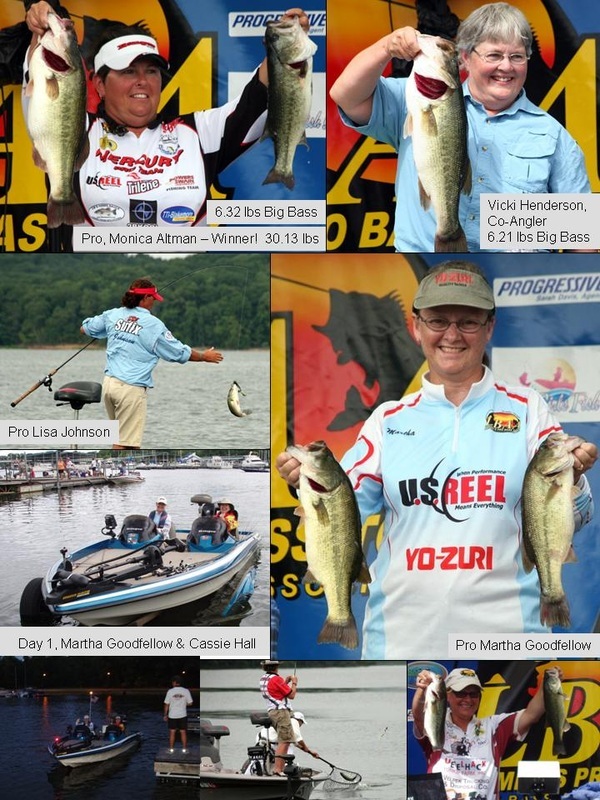 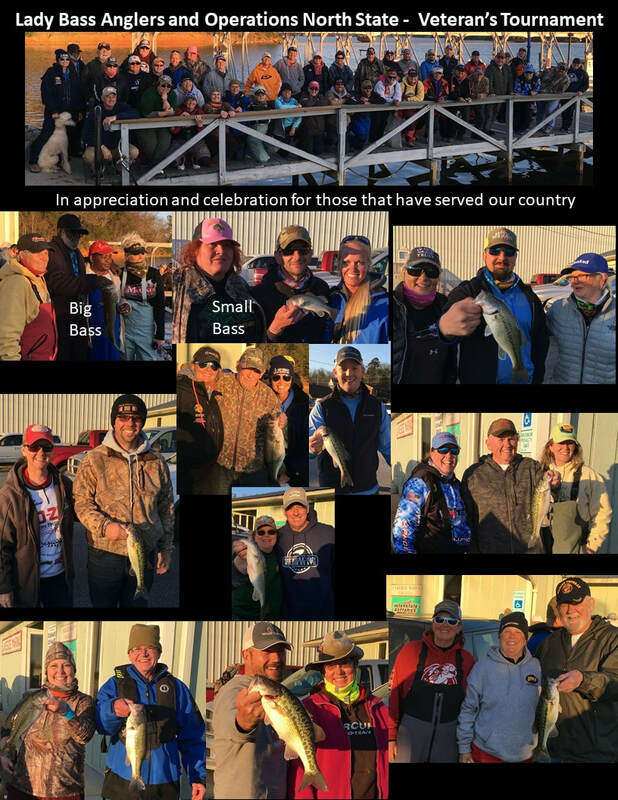 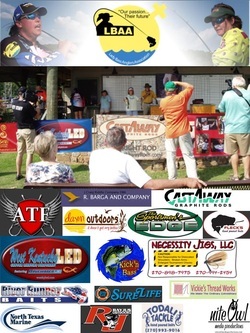 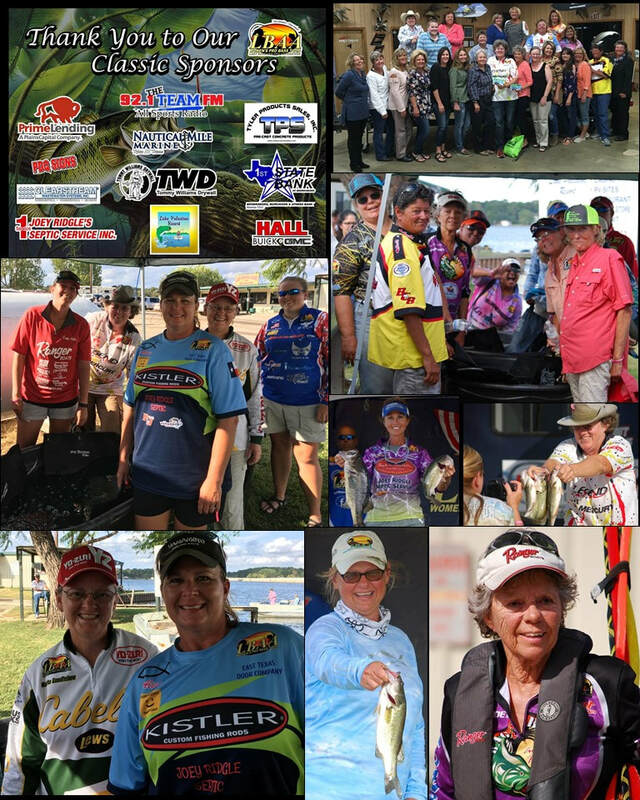 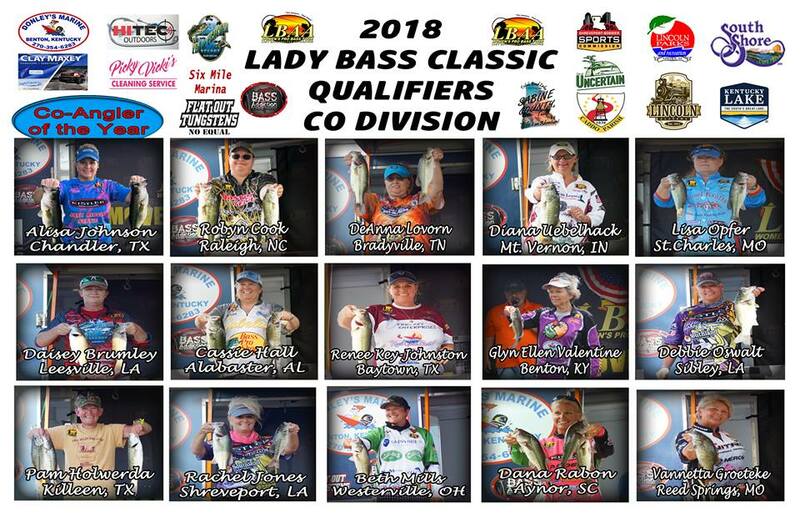 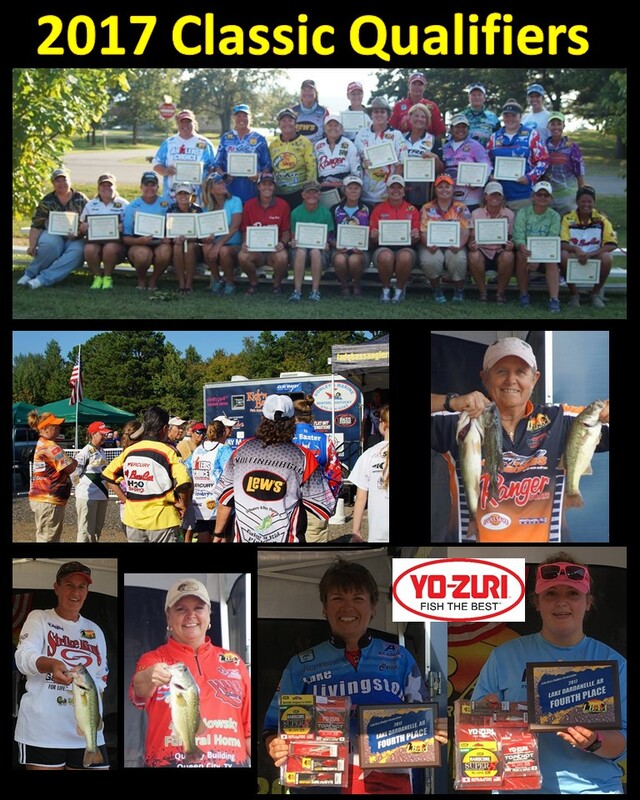 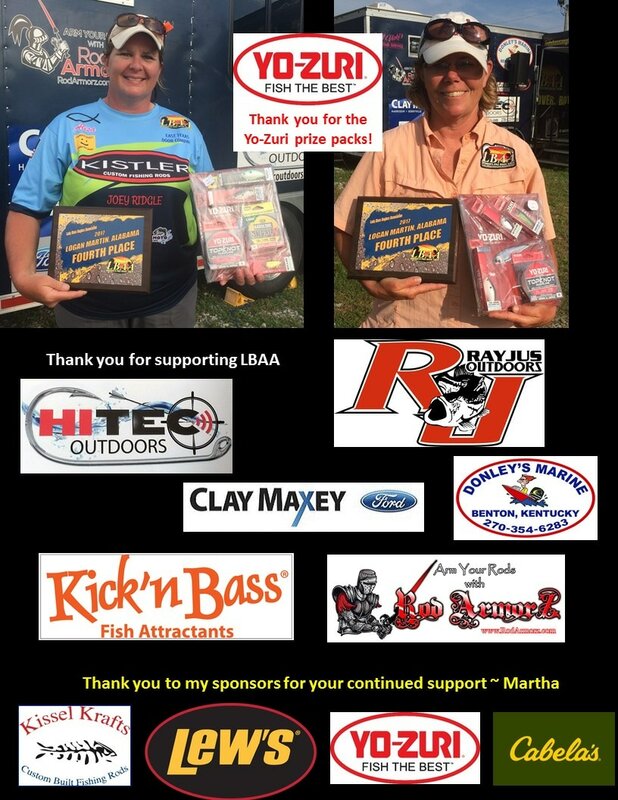 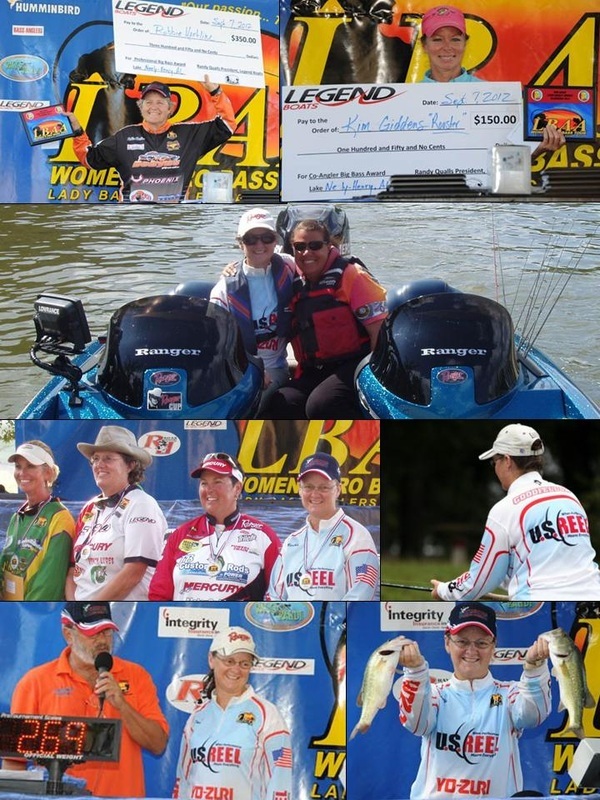 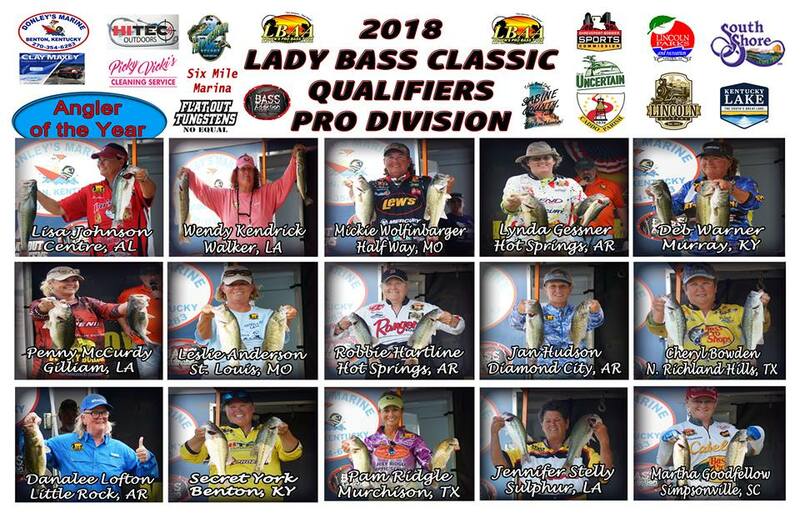 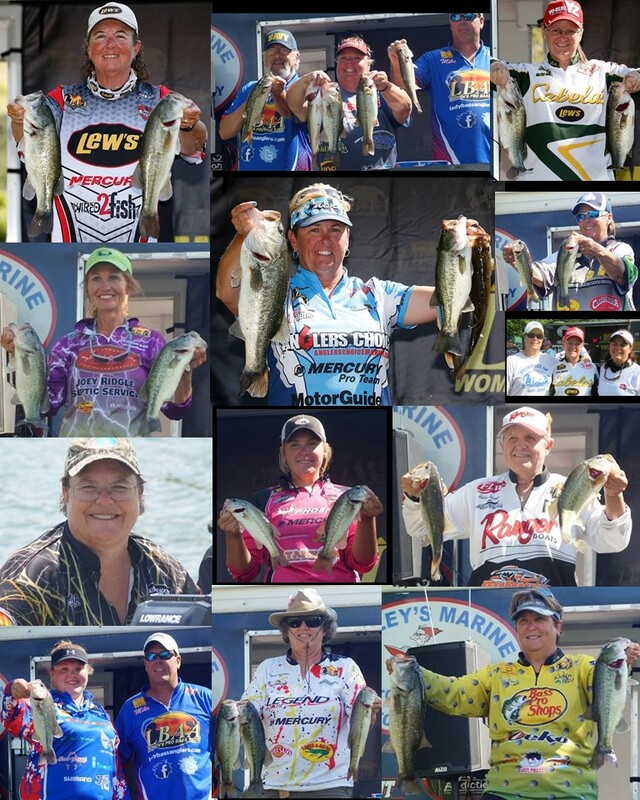 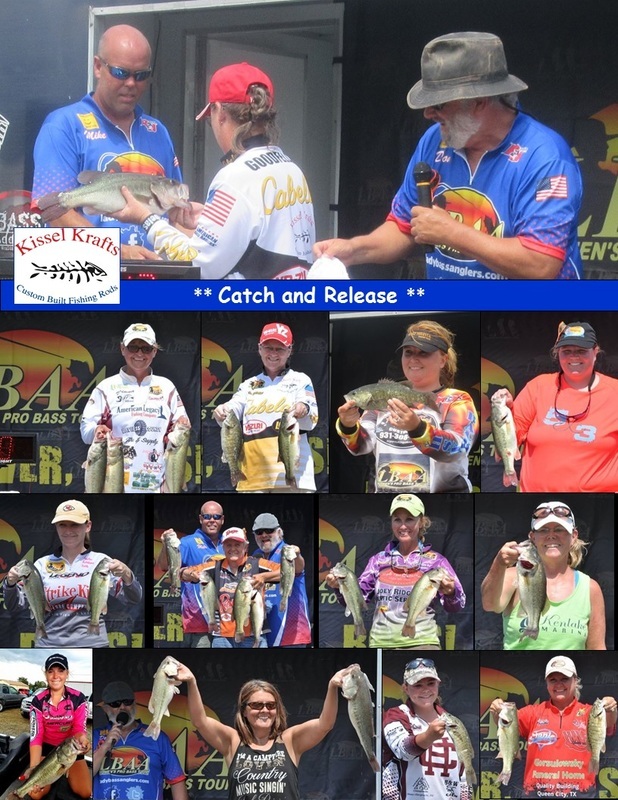 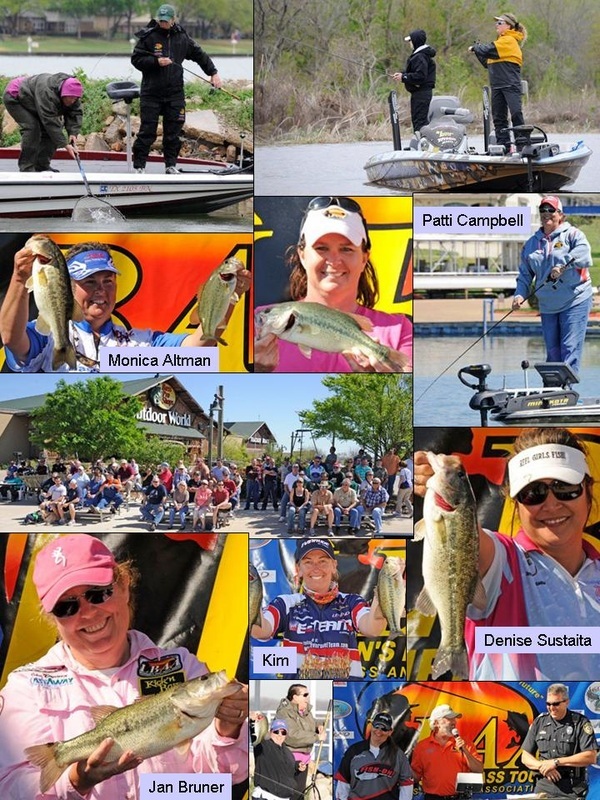 Thank you to those that support and sponsor the Lady Bass Anglers! 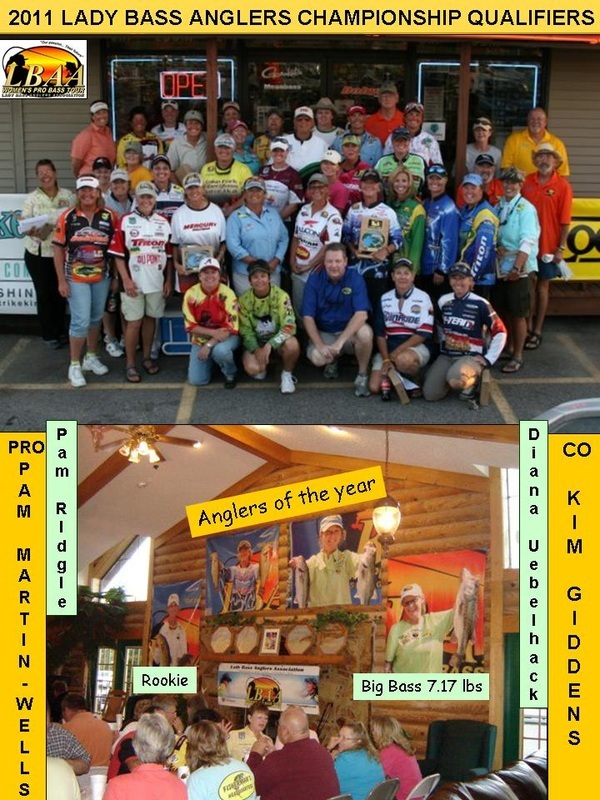 2017 "Anglers of the Year"
As the highest-placing Bonus Bucks angler - I won $750. 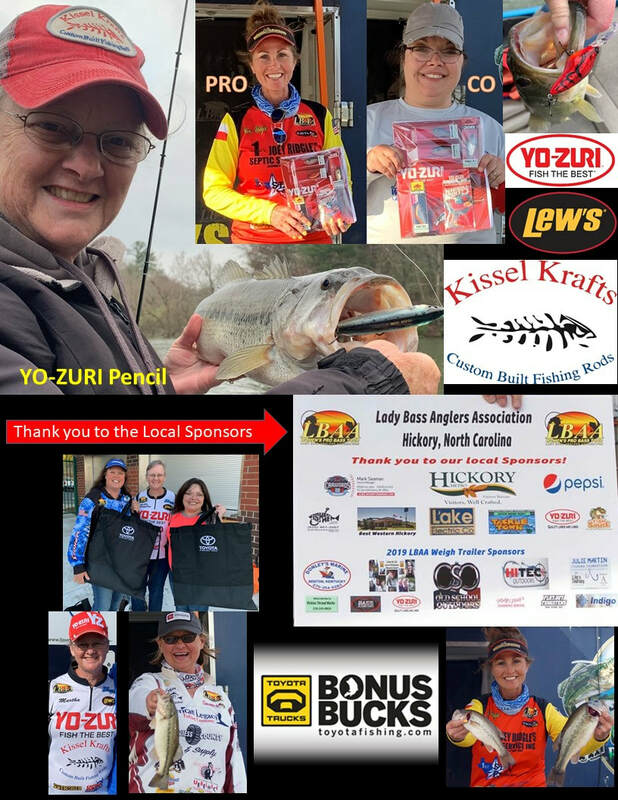 I appreciate your support of the Lady Bass Anlgers. 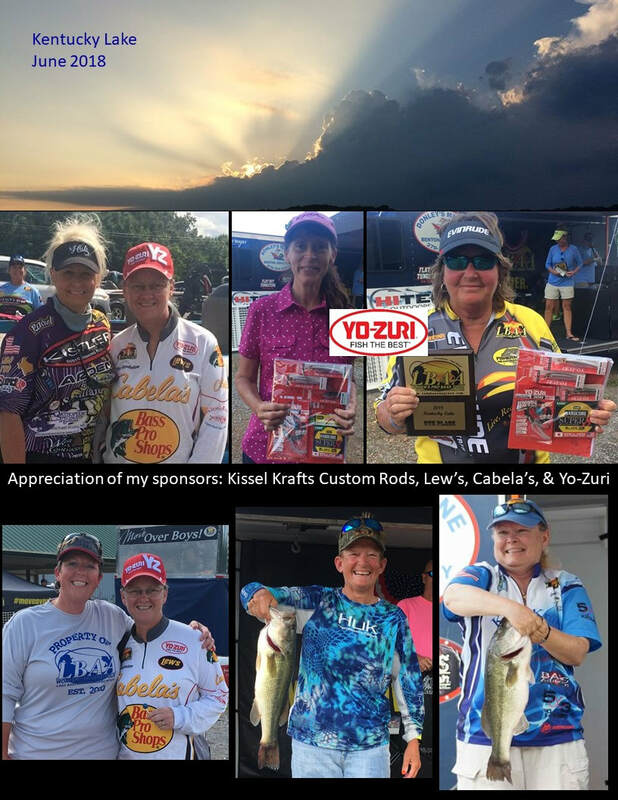 Thank you to my sponsors for your support! 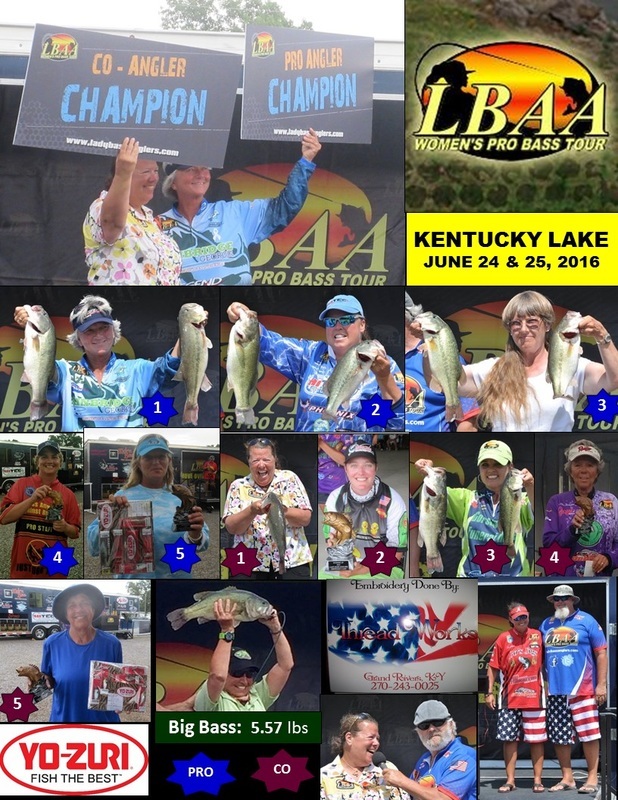 BLOG by Brent Anderson captures his experience as the "camera boat driver" for the LBAA Kentucky Lake tournament. 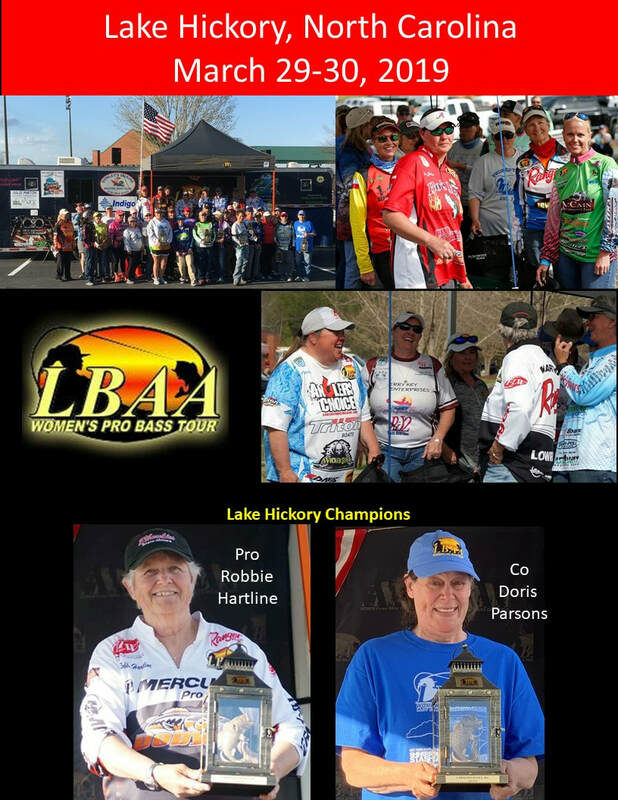 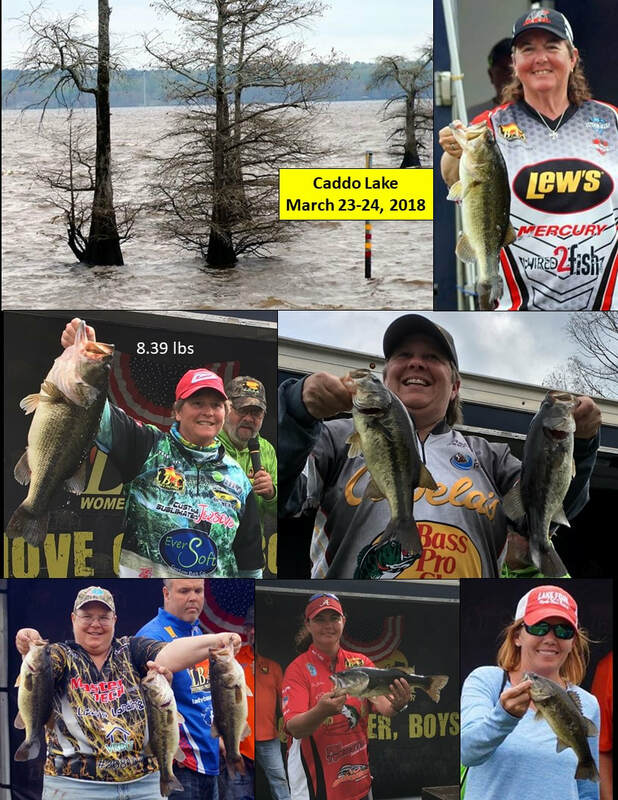 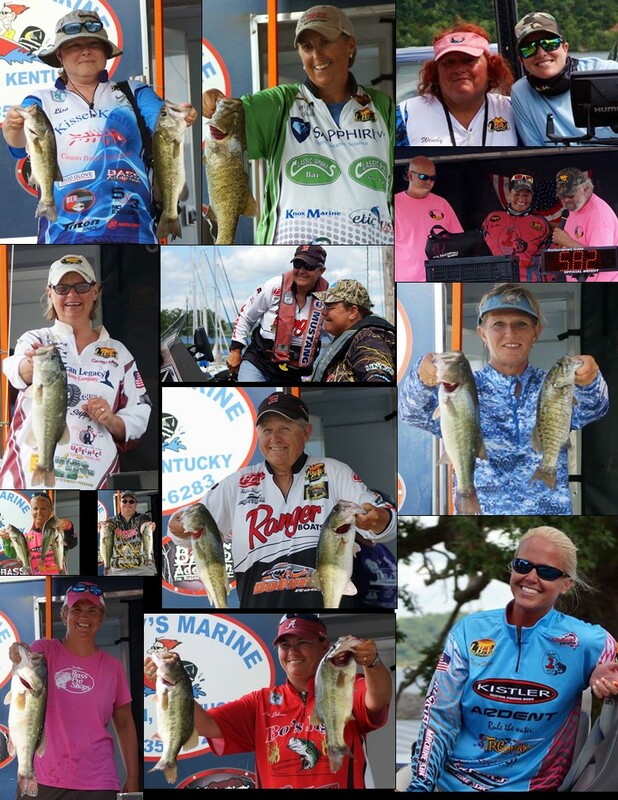 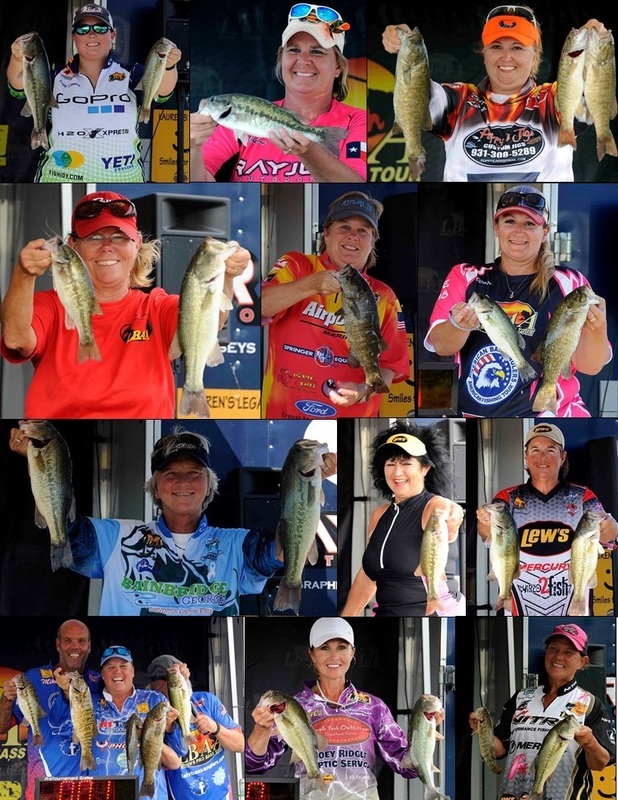 A good read, an unsolicited "review" about Brent Anderson's experience as the driver of the camera boat for the Kentucky Lake tournament and his thoughts about the Lady Bass Anglers tour. 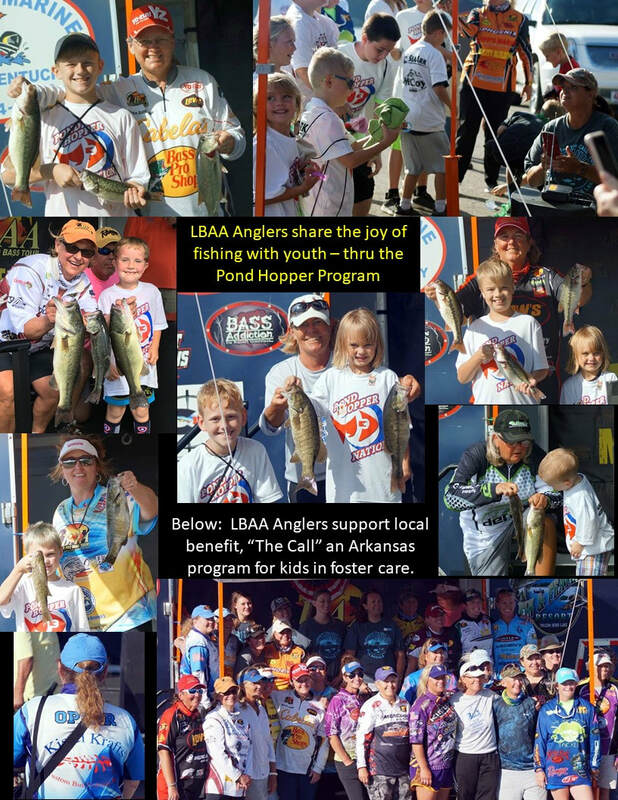 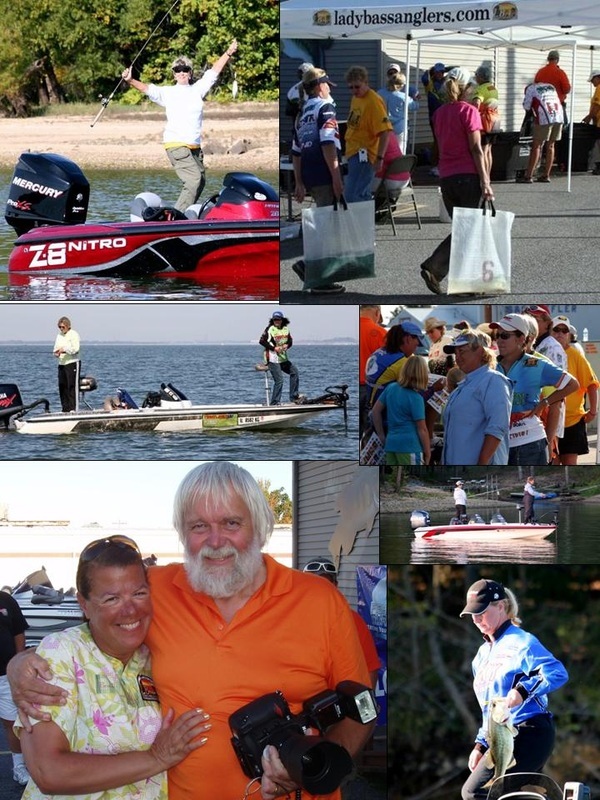 Photo pages are a collection of photos through the courtesy of Larry Morris/LBAA, Kasey F. and Don G. Thank you! 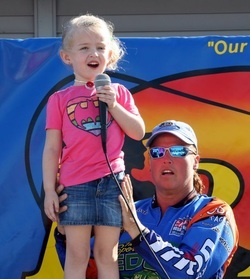 Secret York's granddaughter captures everyone's hearts as she sings the National Anthem. 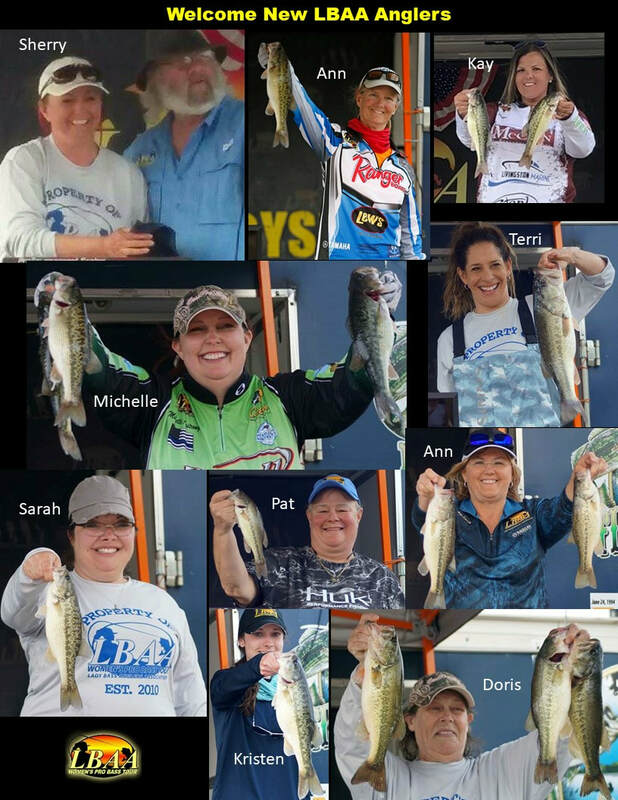 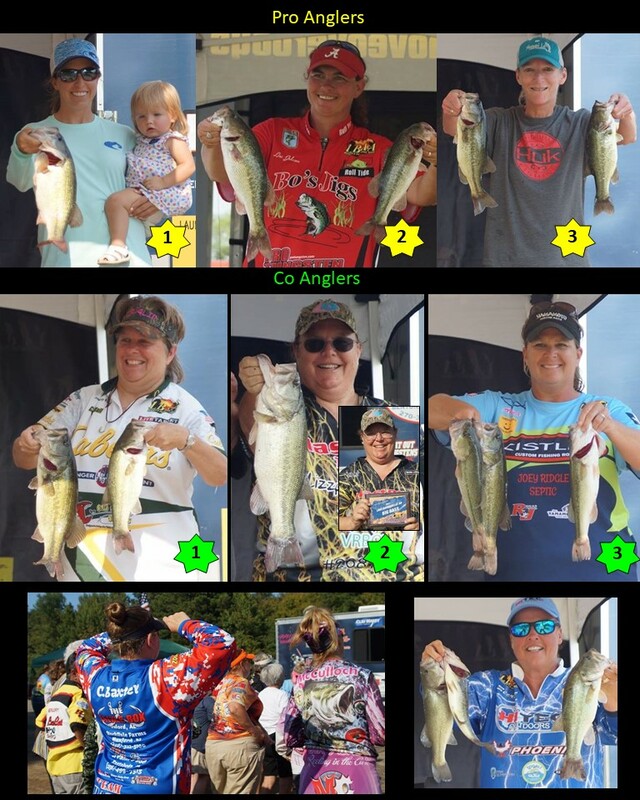 We are a group of women who wish to band together to reach our shared dream of having a professional tournament trail that…Meets our need to bond with other like minded women; Provides the opportunity for us to earn a reasonable return on our financial investments; Understands where our financial obligations lie; and Allows us to provide our sponsors with a positive return on their investment. 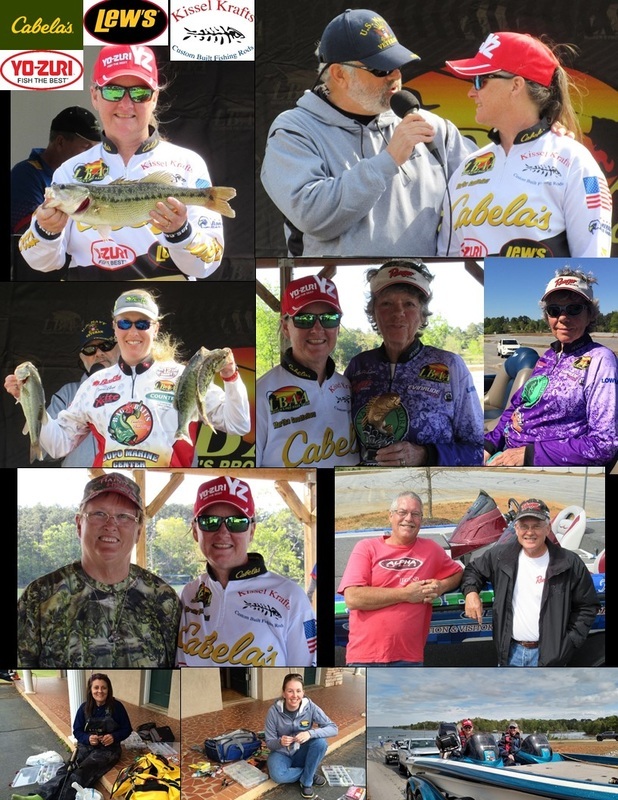 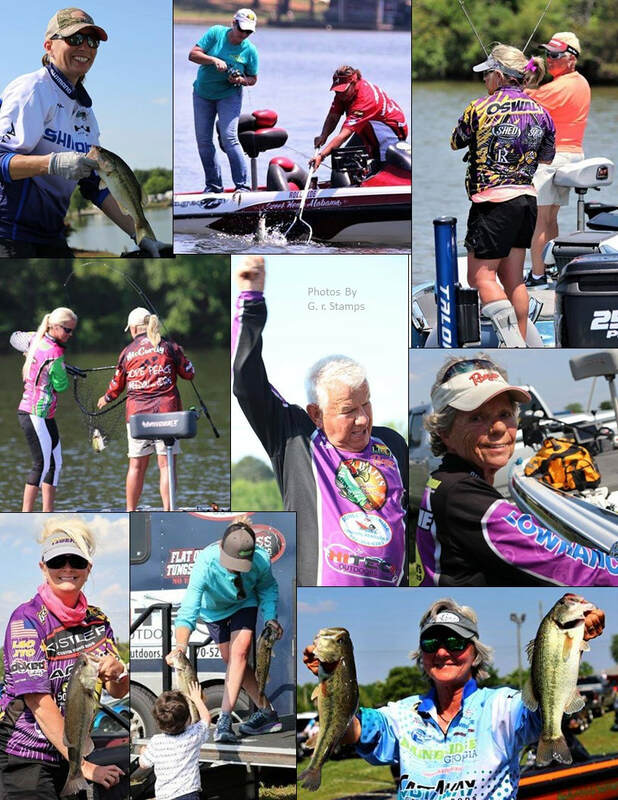 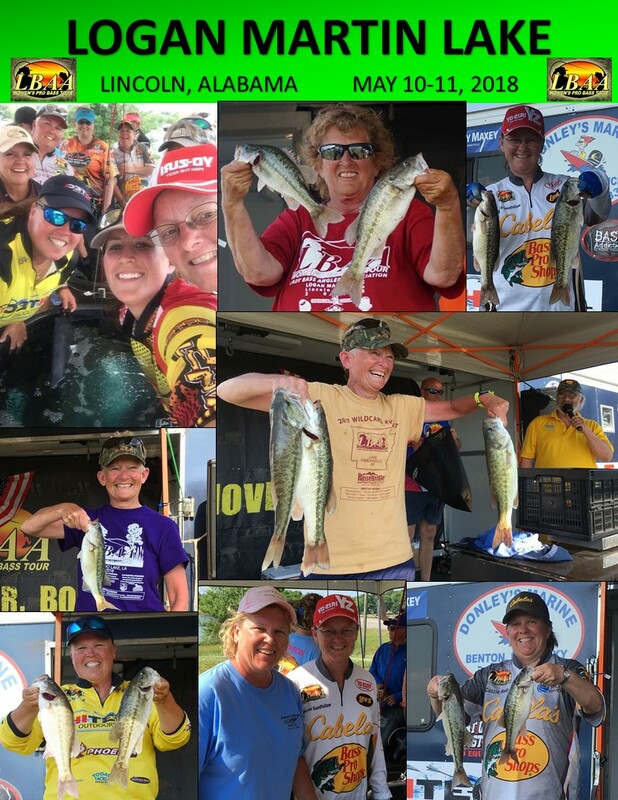 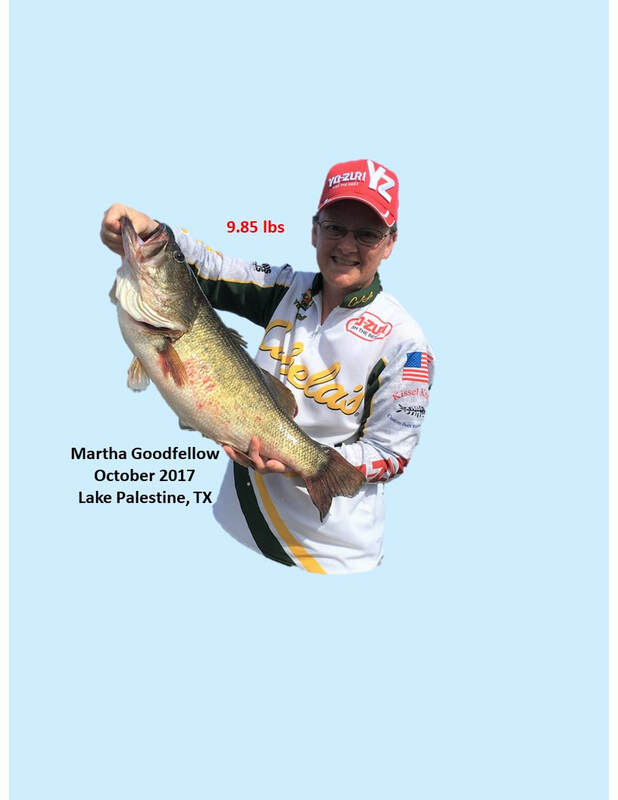 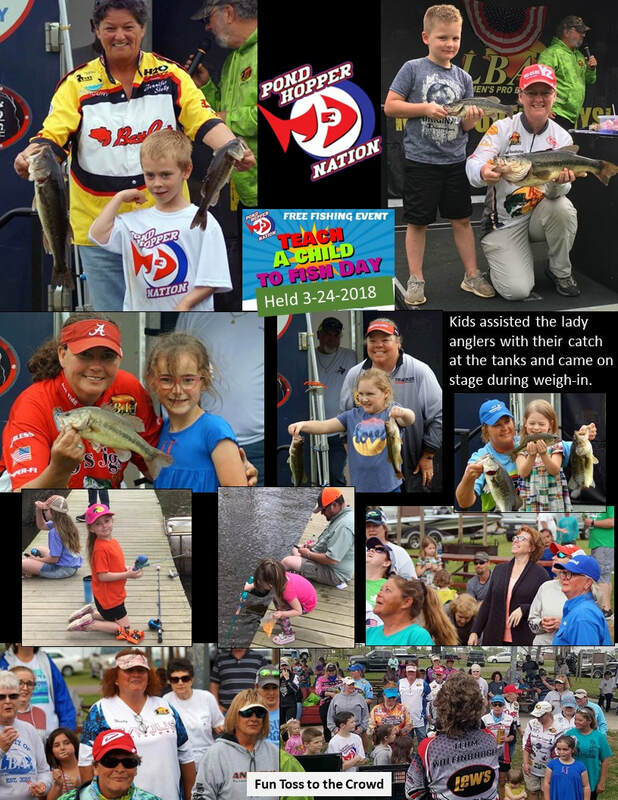 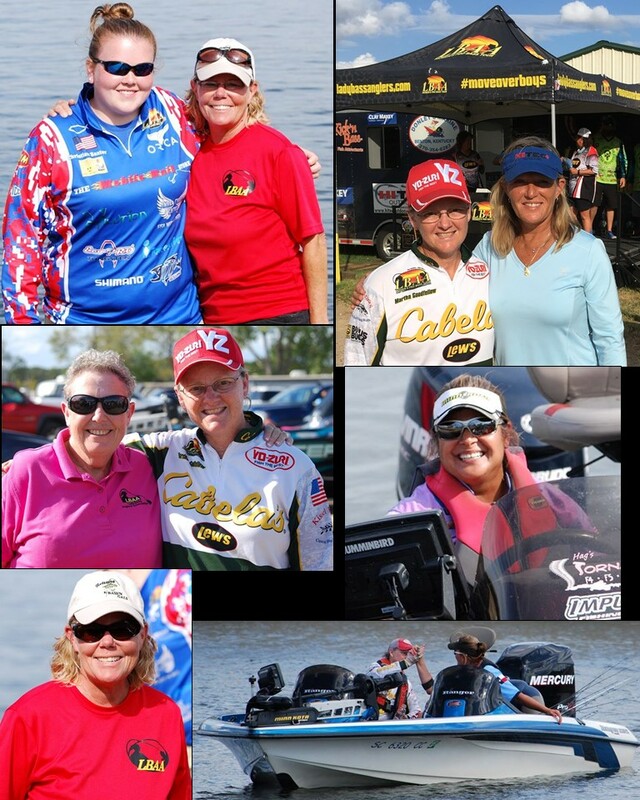 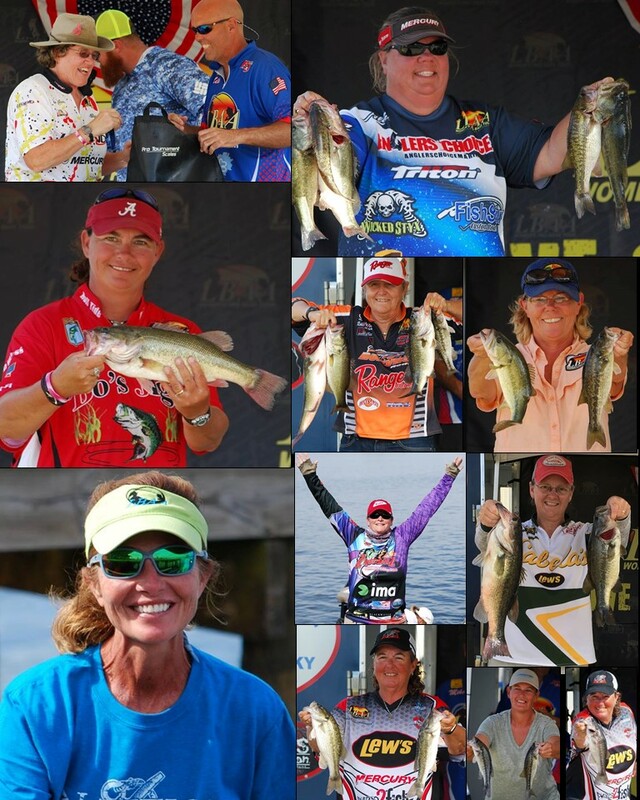 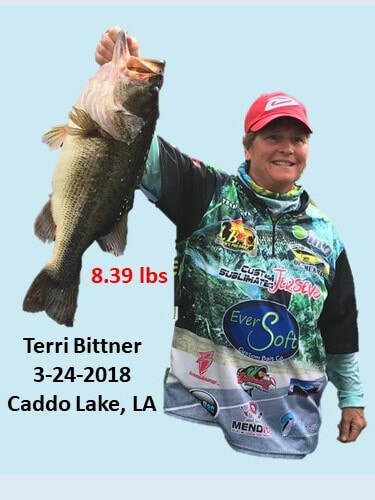 MISSION: To provide women with an opportunity to fish professionally, to grow the sport of bass fishing and to build a program that will allow future generations of young ladies with more opportunities to compete in the sport of bass fishing. 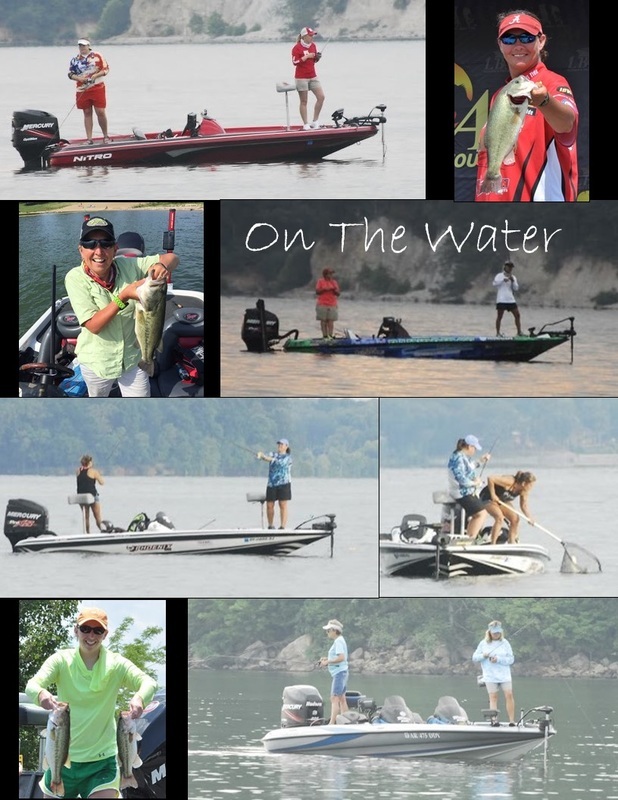 The photos below are from the Lake Dardanelle event. 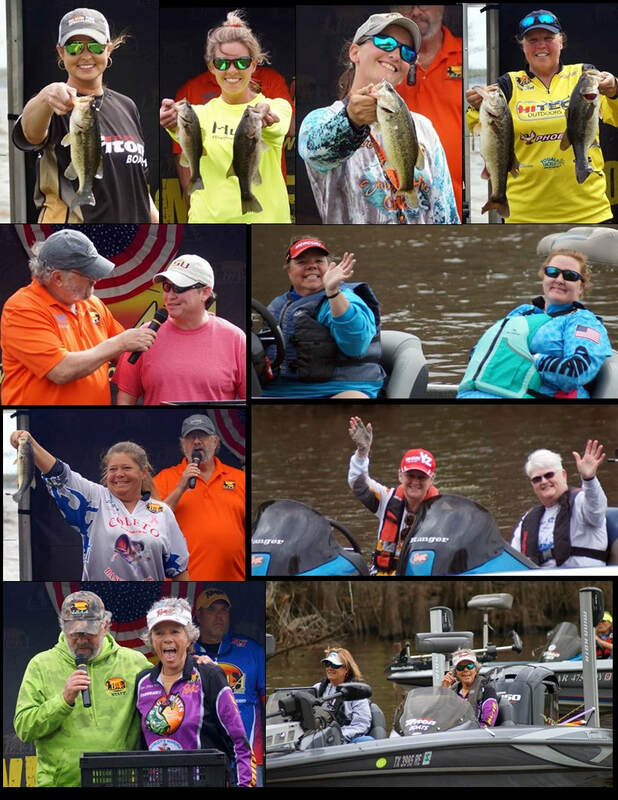 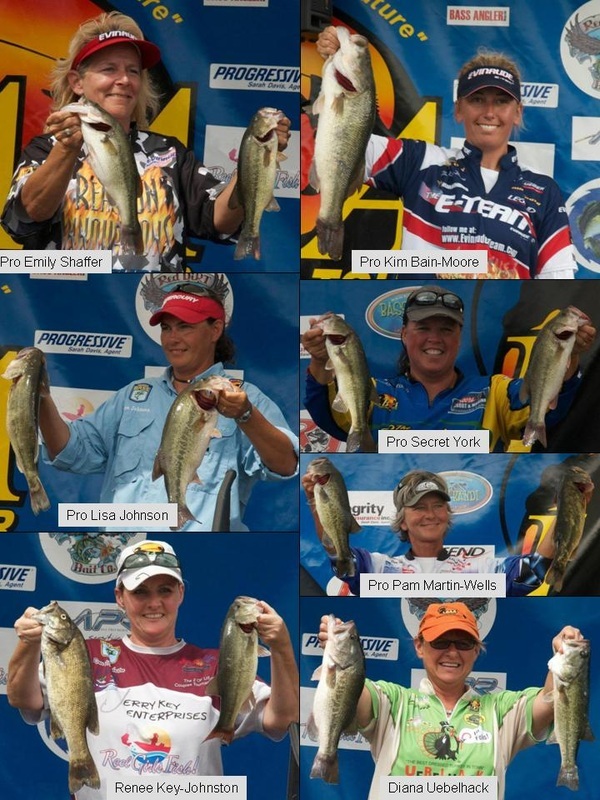 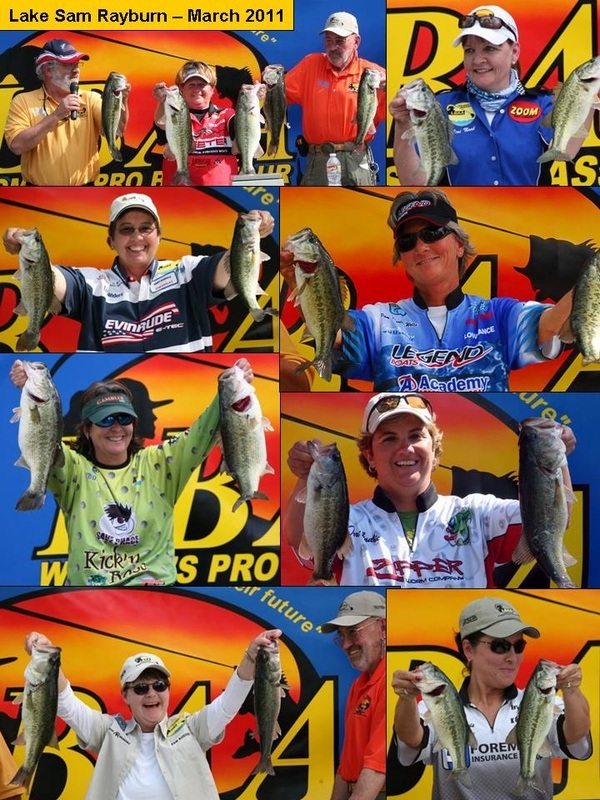 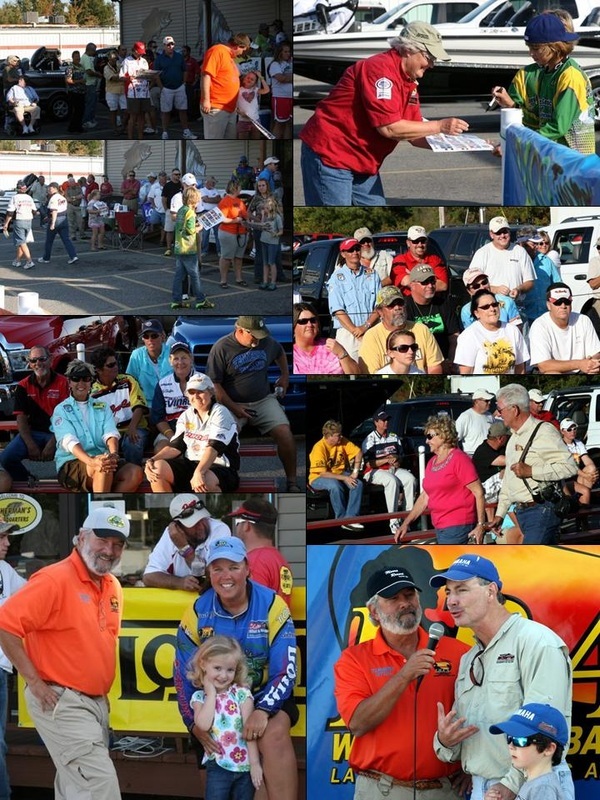 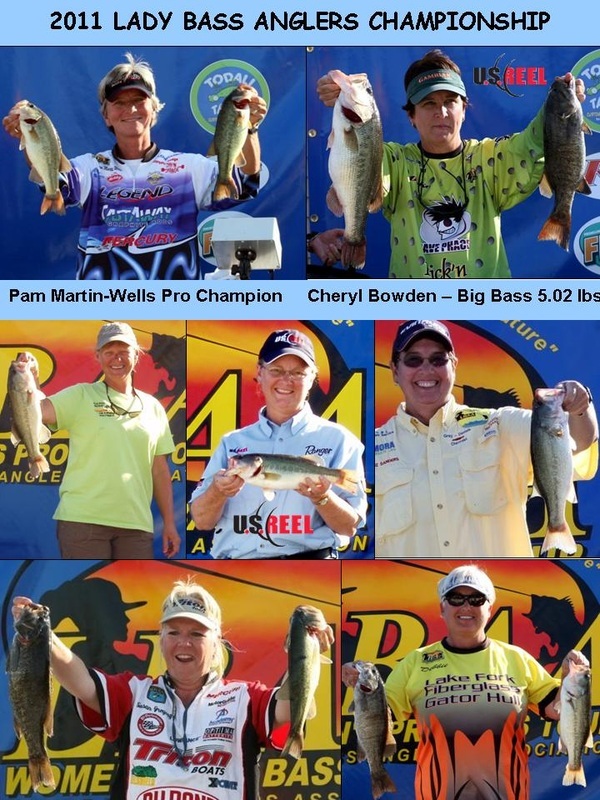 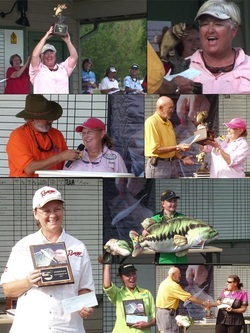 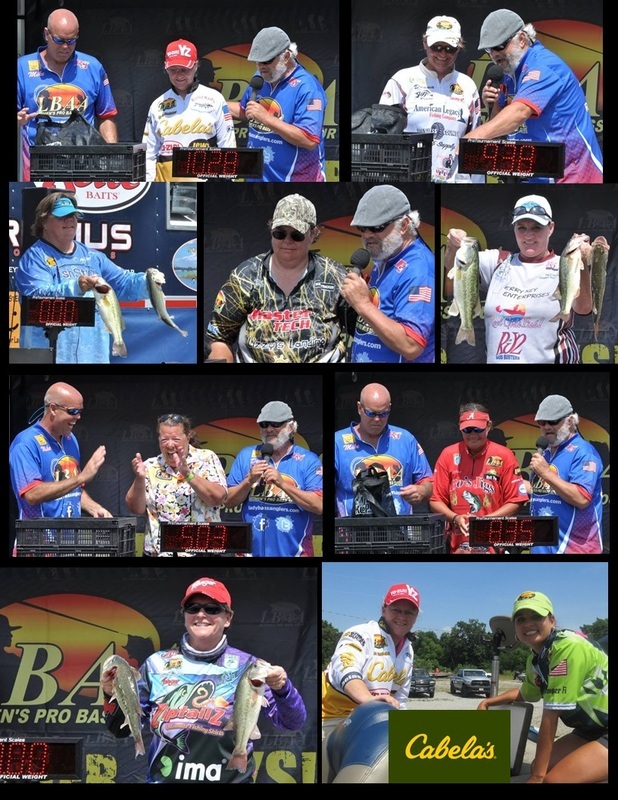 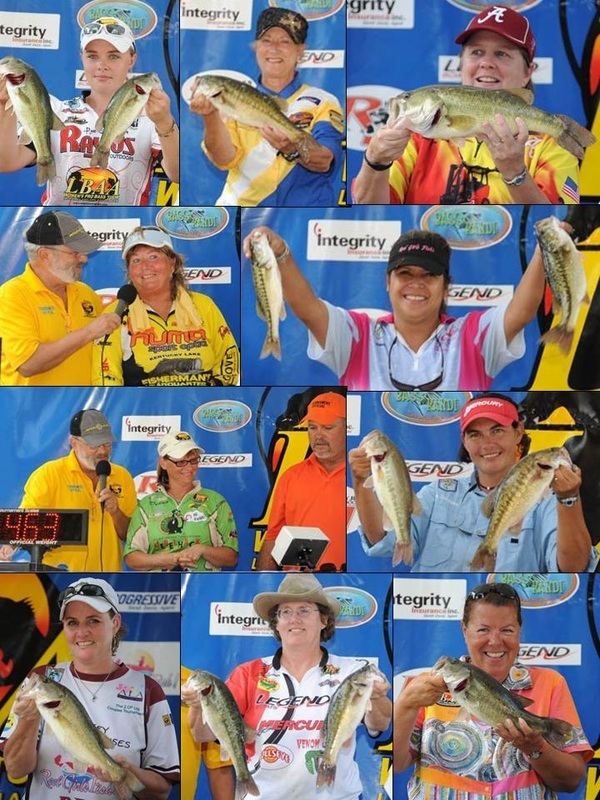 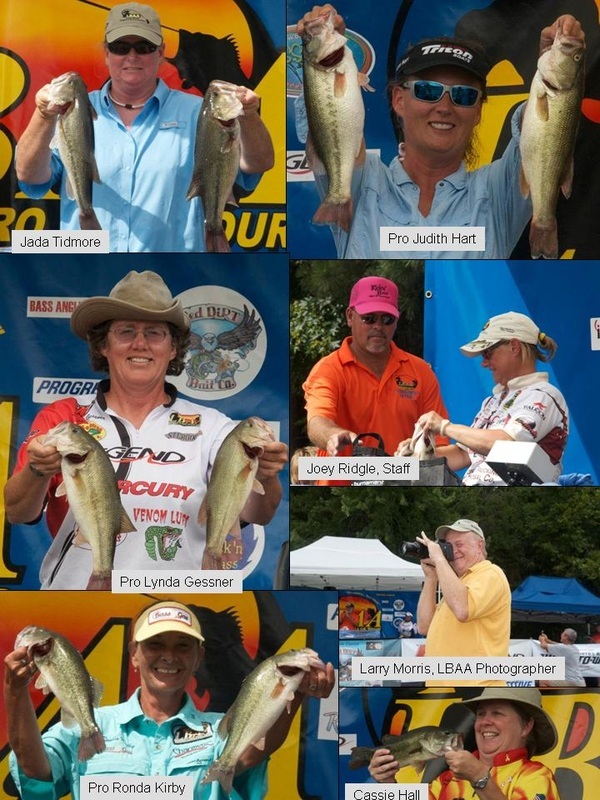 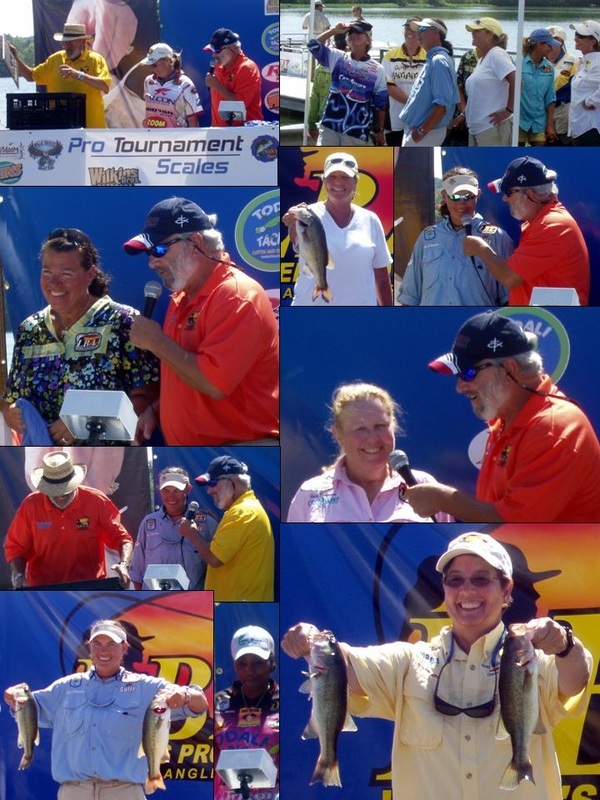 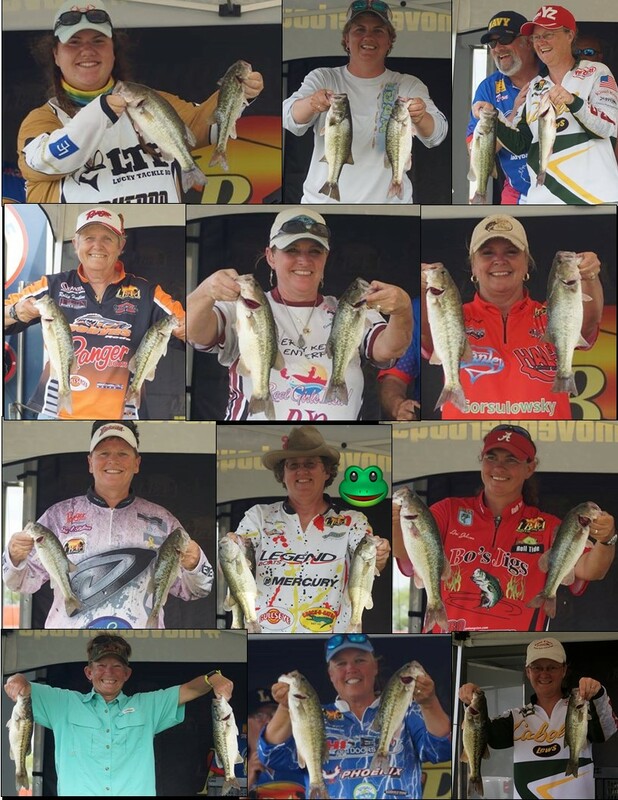 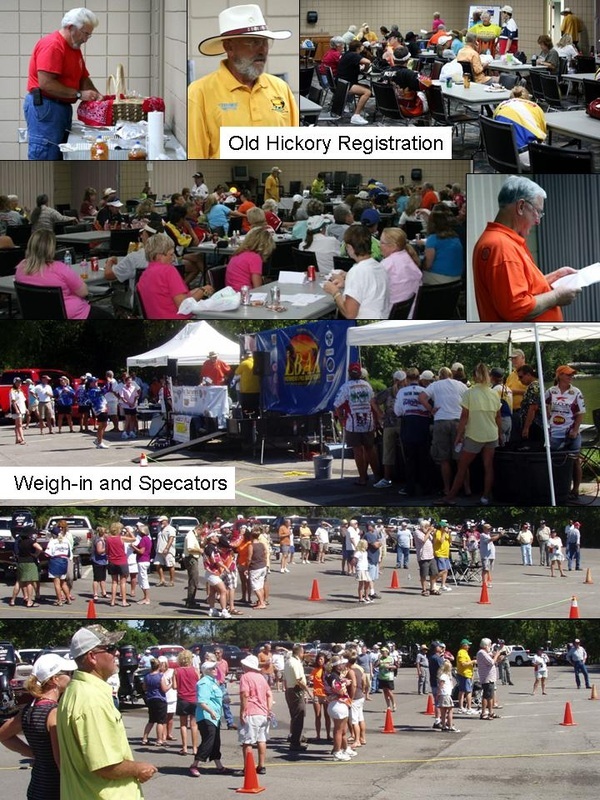 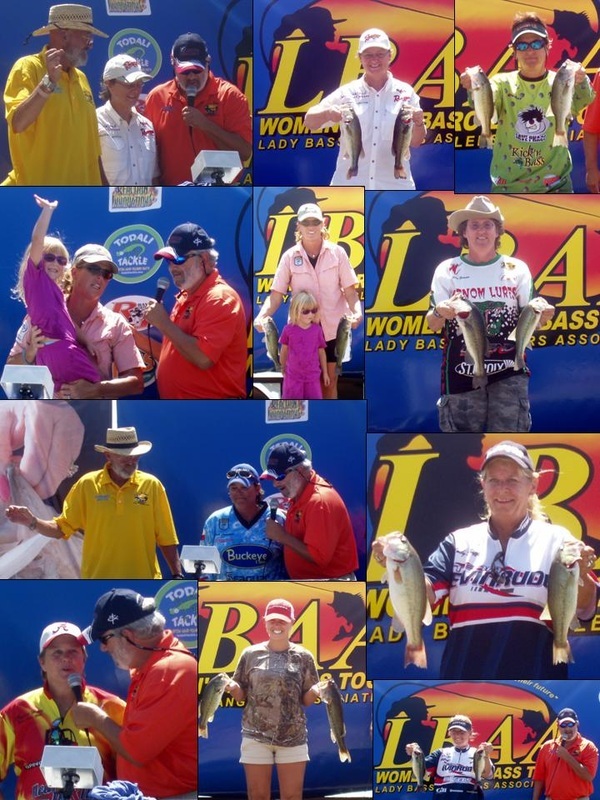 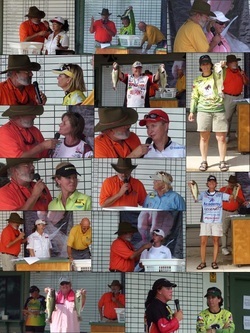 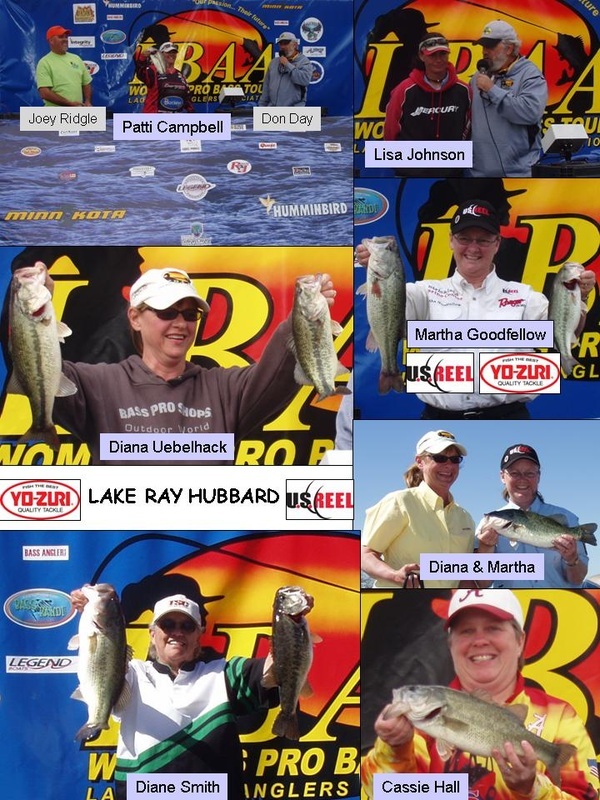 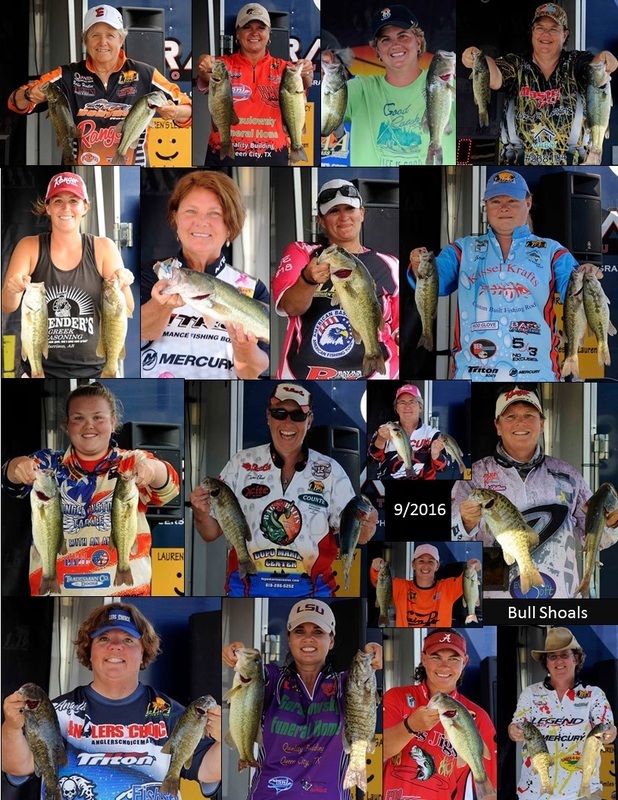 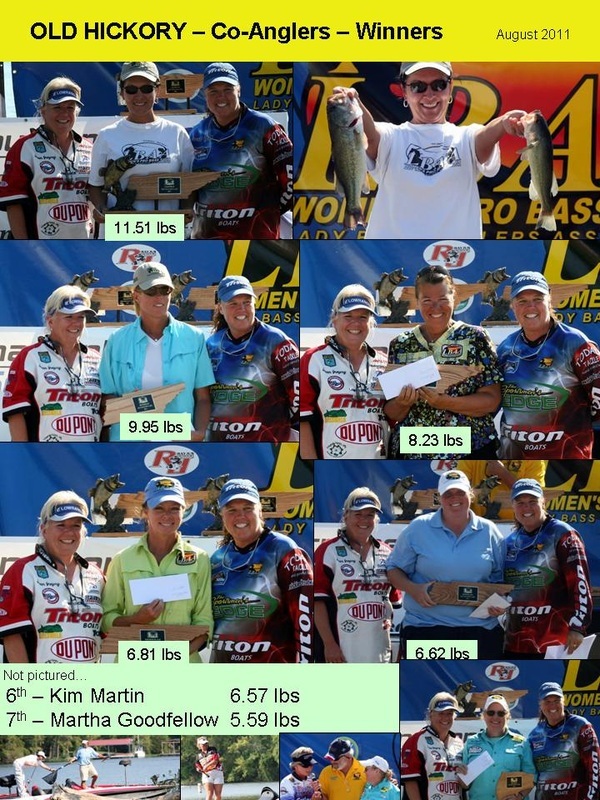 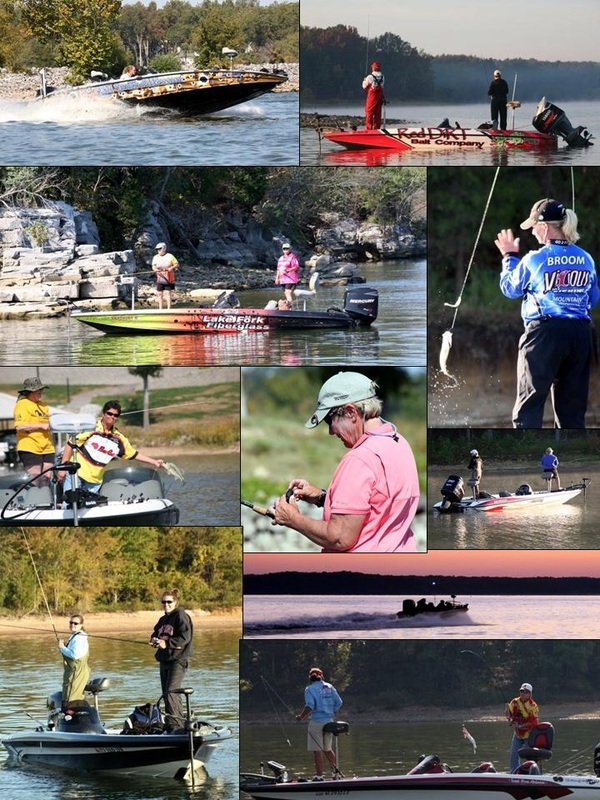 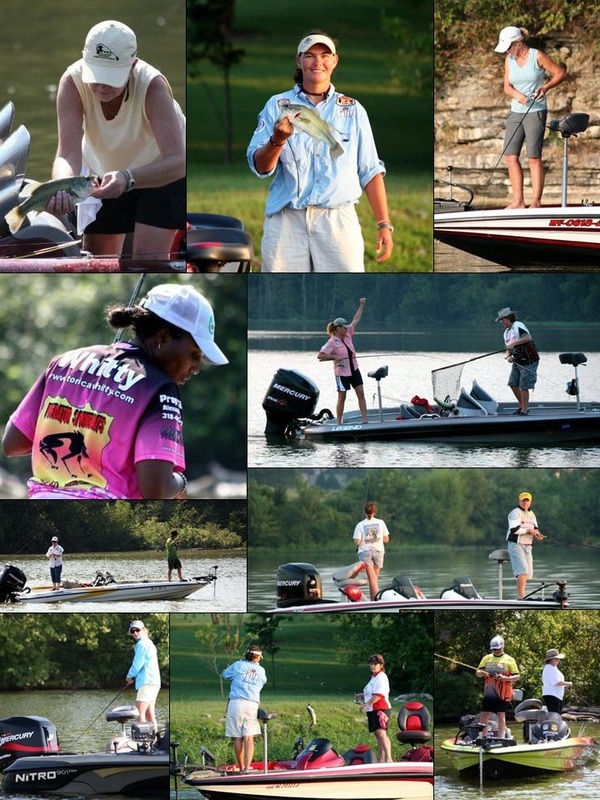 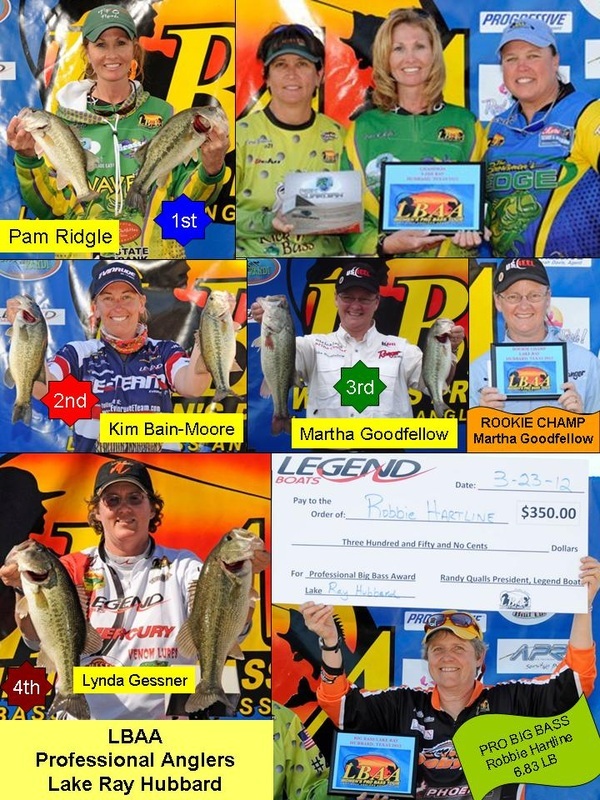 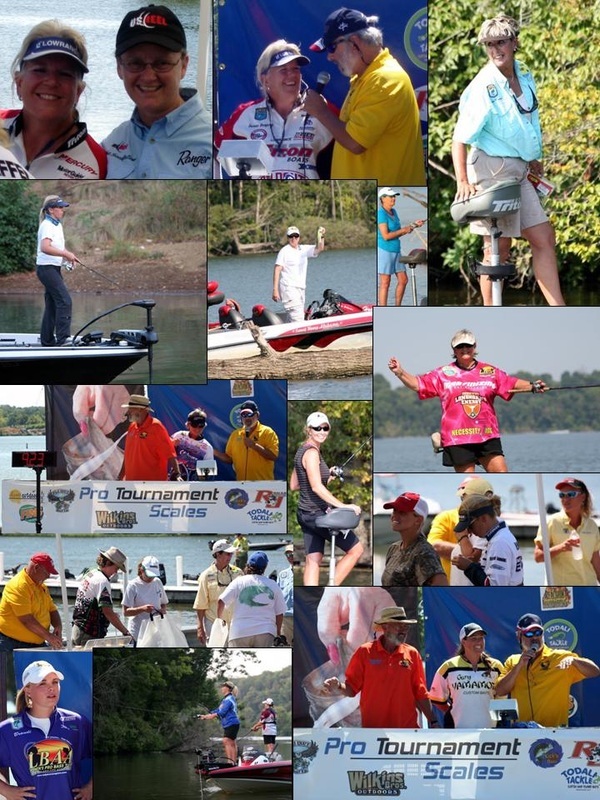 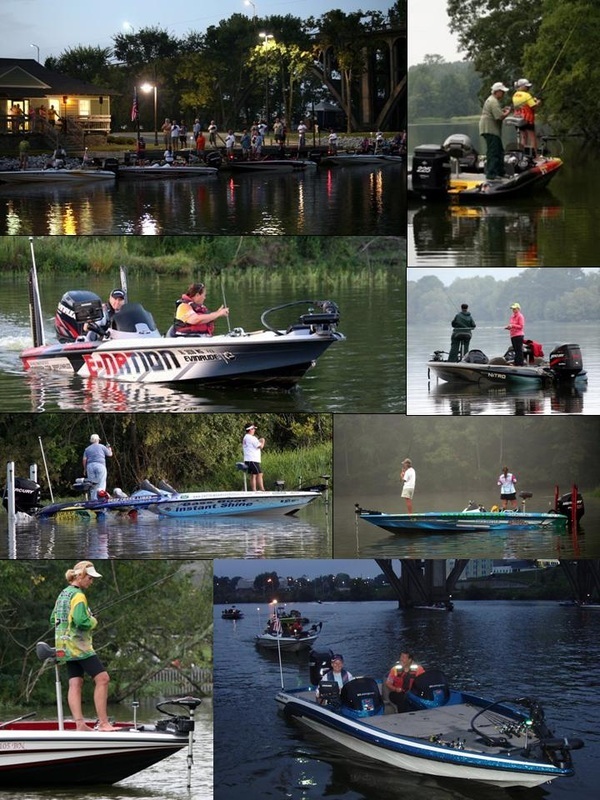 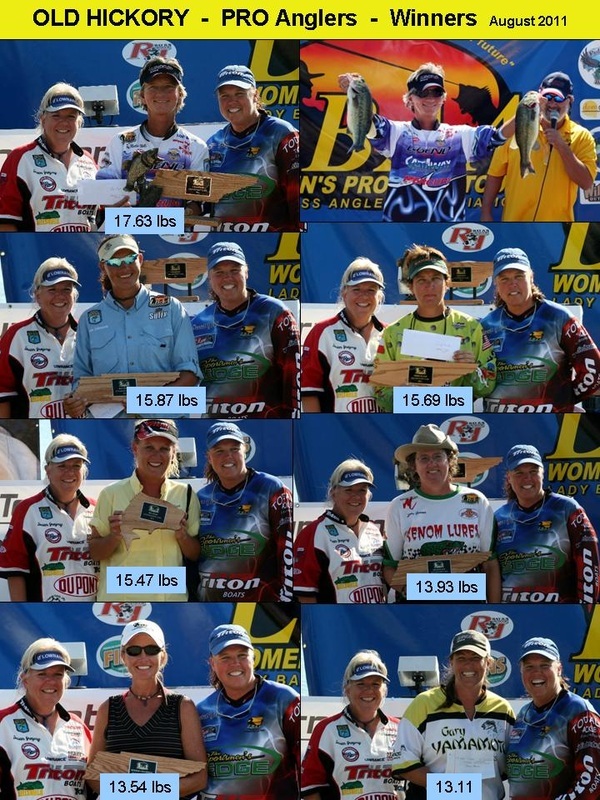 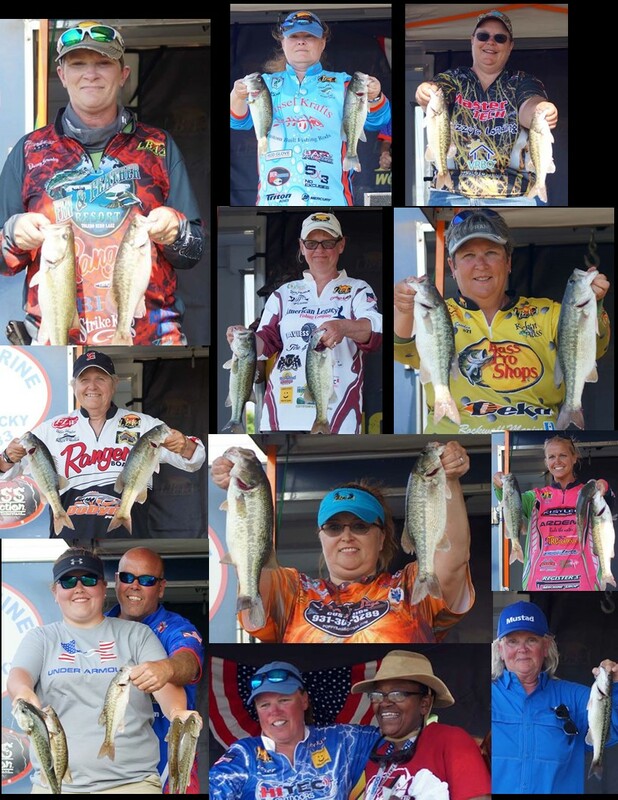 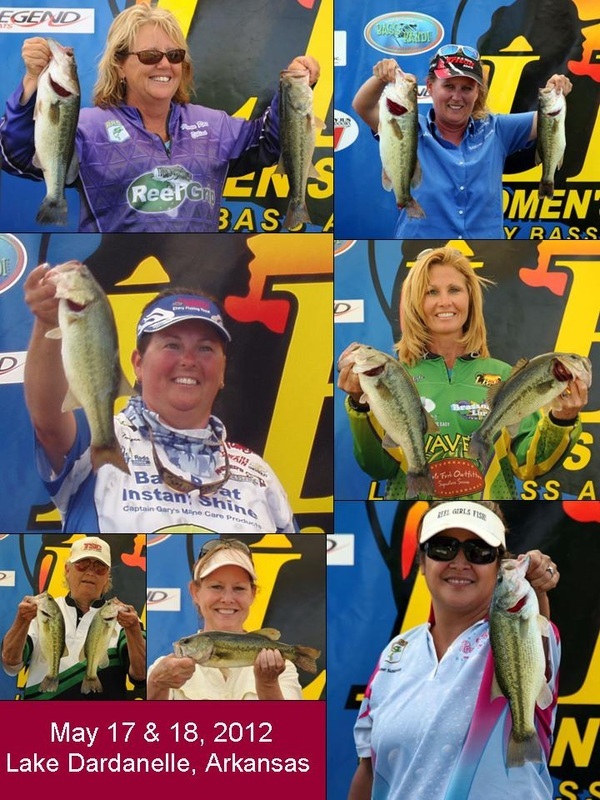 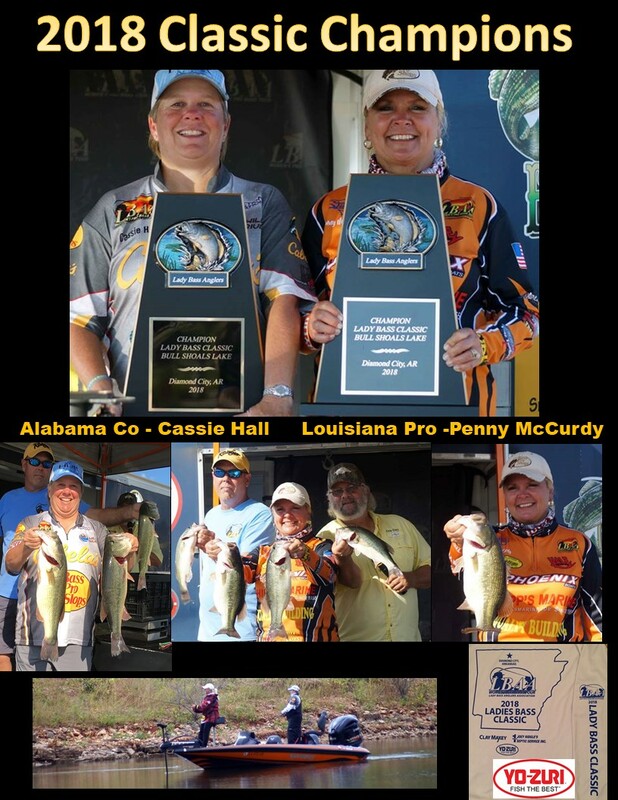 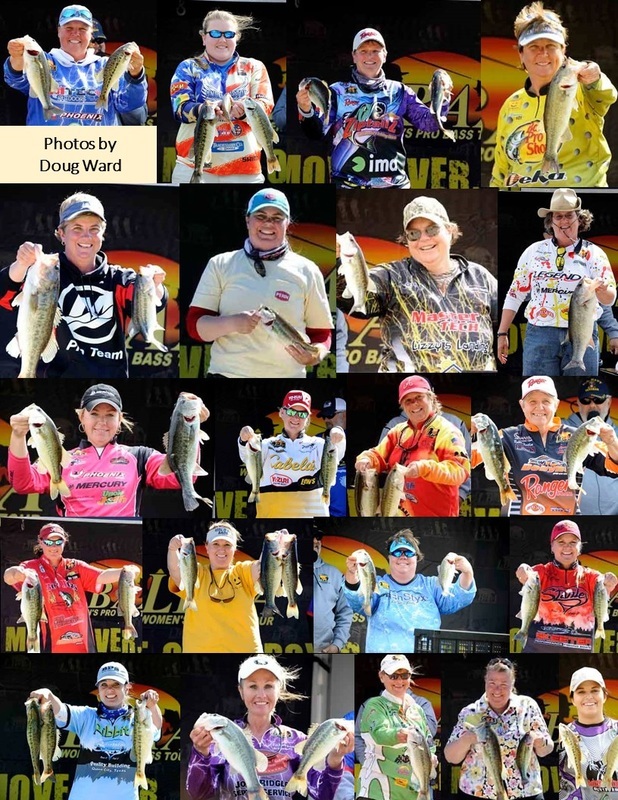 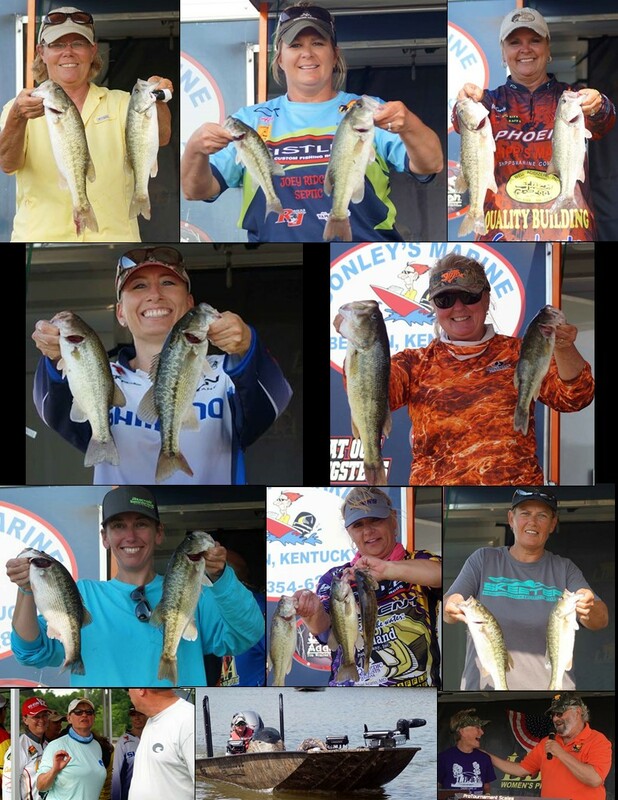 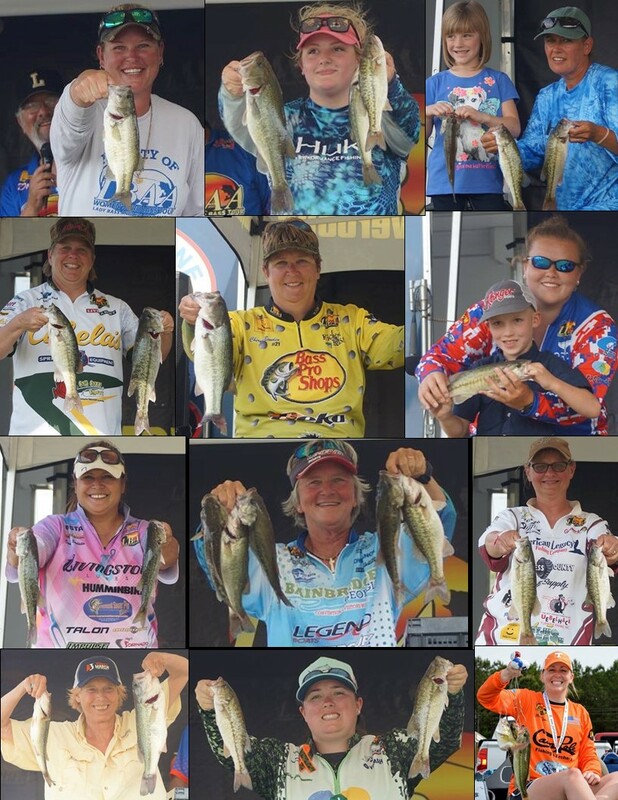 Photos are courtesy of Arkansas Tournament Fishing (ATF) and a few by D. Goodfellow. 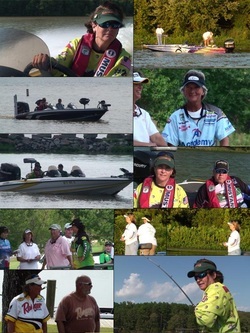 Released February 10, 2011. 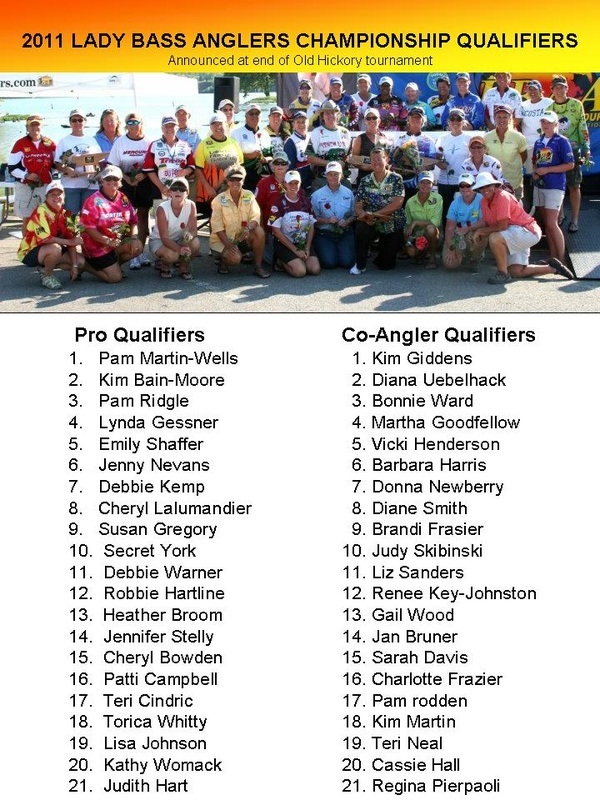 If you are considering becoming a co-angler, you should read this article. 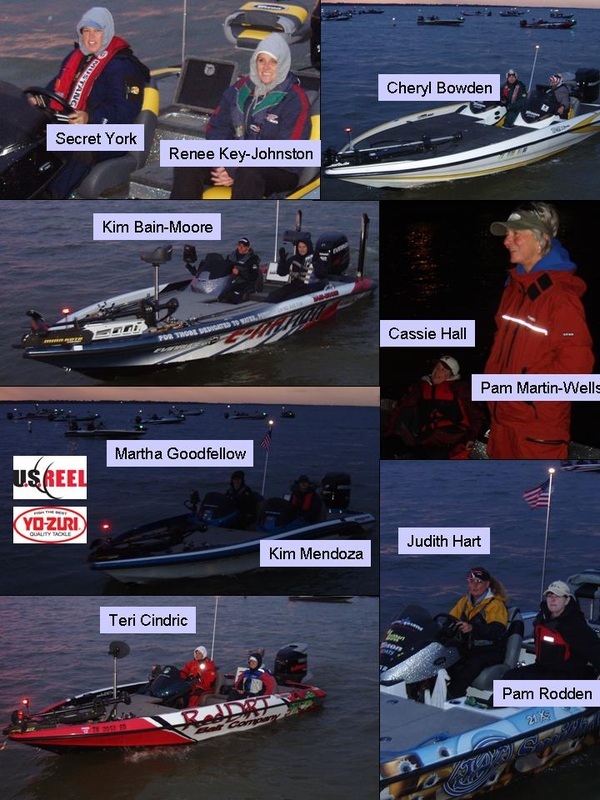 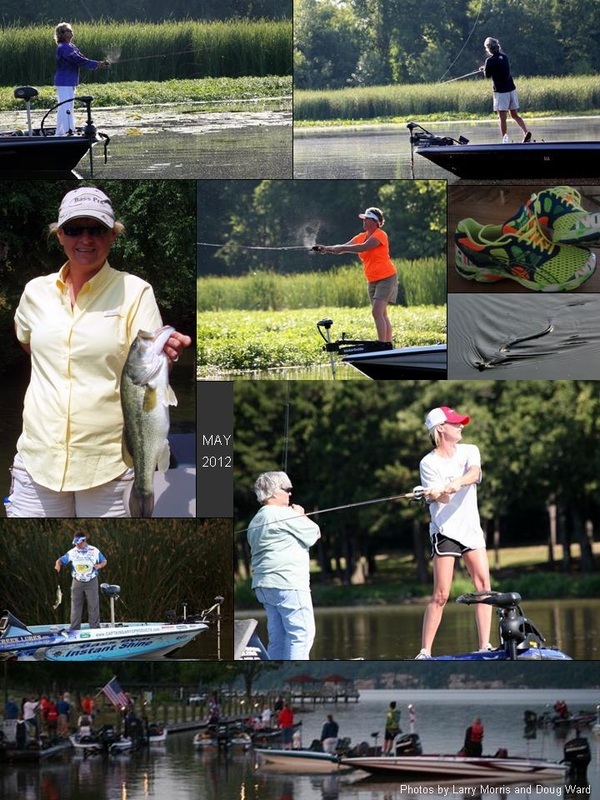 Fishing with the Lady Bass Anglers was a great decision I made and now, you can hear what other co-anglers have to say. 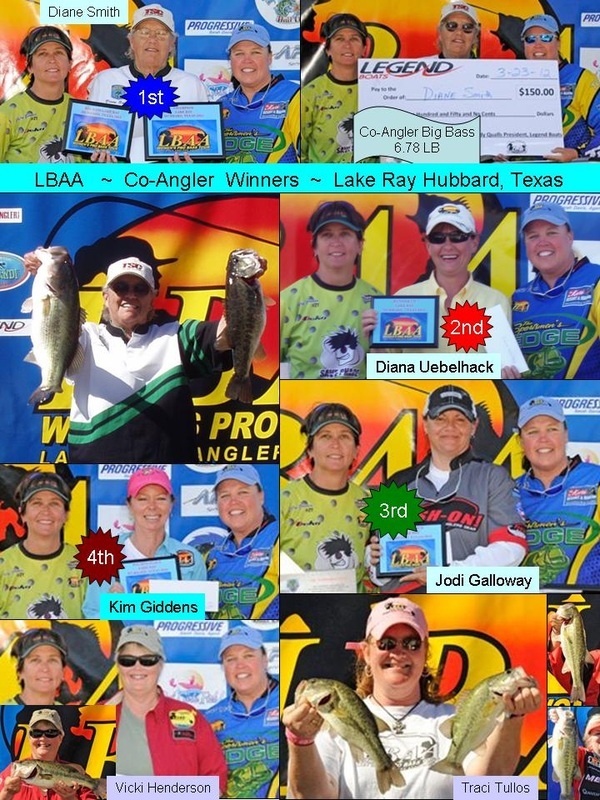 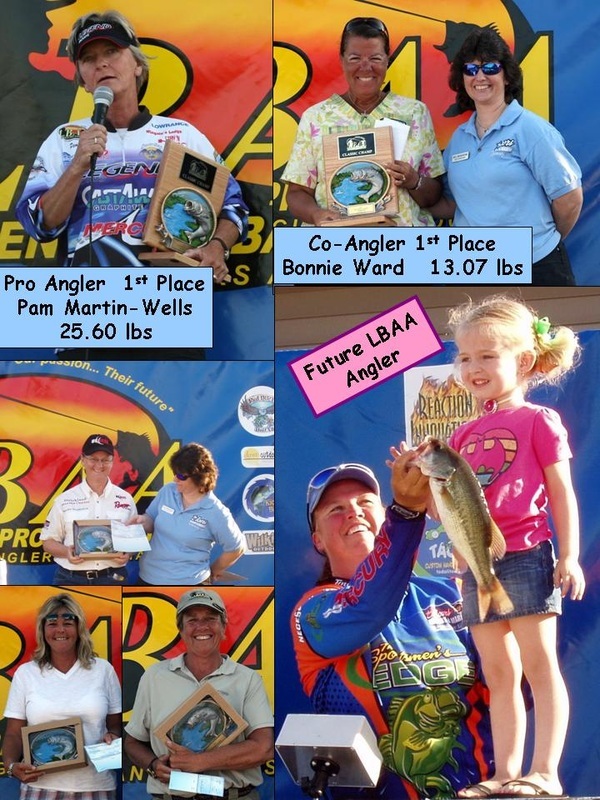 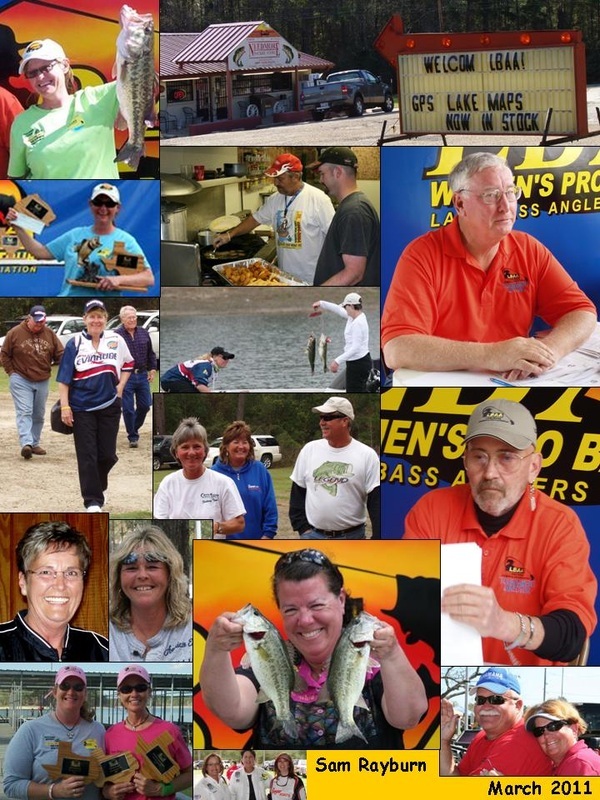 For me, fishing with LBAA has been a great experience and I'm looking forward to the 2011 season. 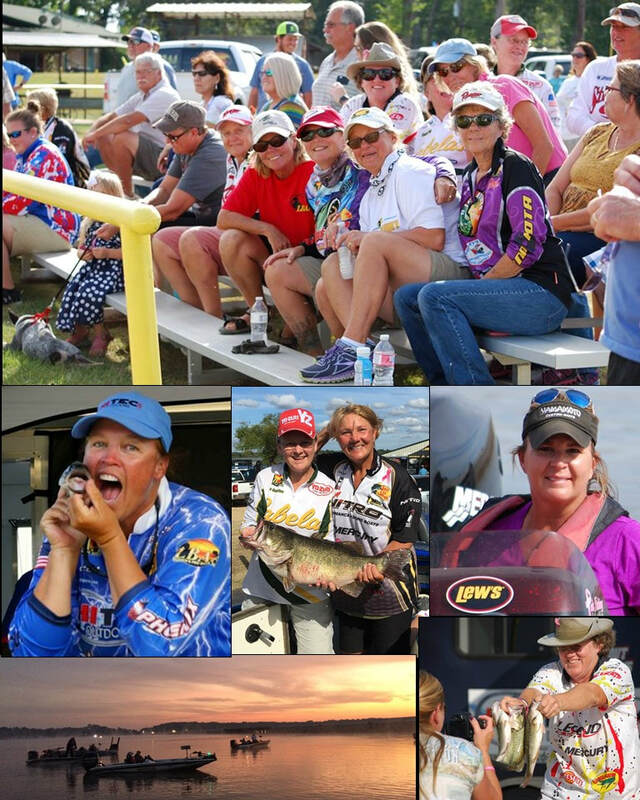 I've asked myself why travel so far to compete, when there are plenty of local opportunities... 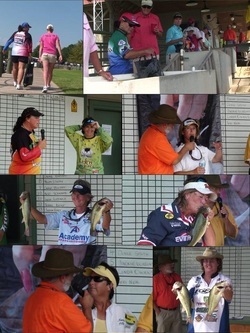 There are many reasons. 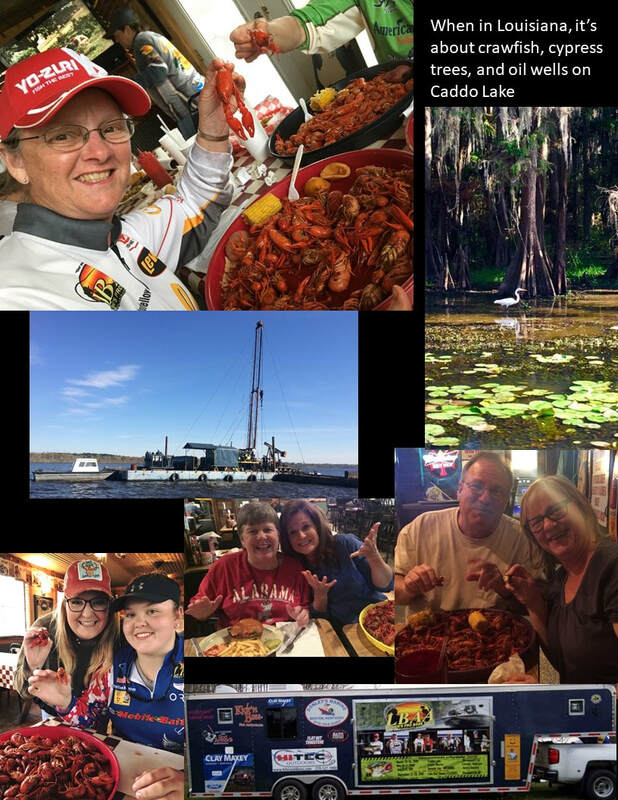 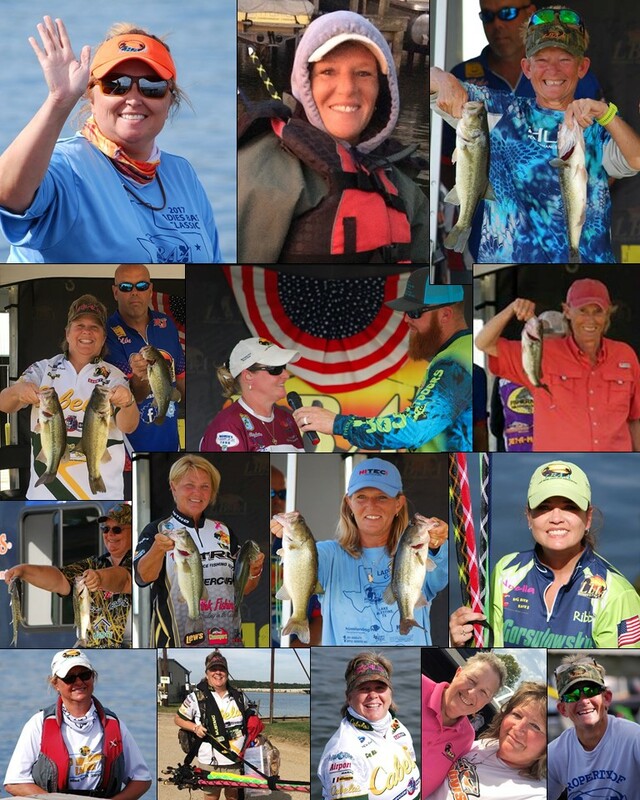 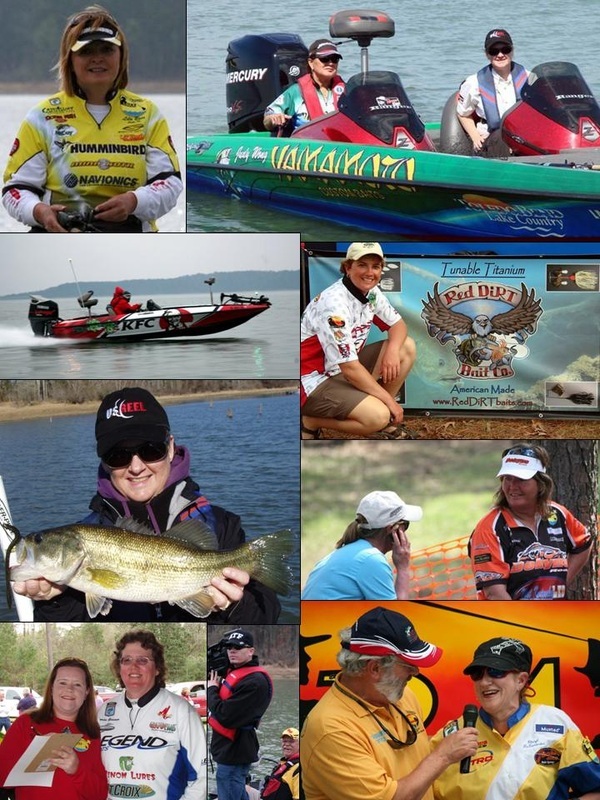 Here are a few: traveling and seeing more of the U.S., fishing new water (some very different from what I've fished before), learning more about fishing (my boaters have shared new techniques and ideas with me, helping me to improve), fishing with a great group of ladies, many that have become friends, and more... 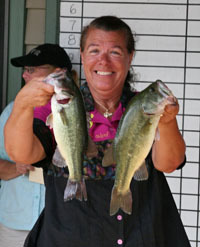 The best advice I got was from my husband who encouraged me to "just do it".